Real estate income property is a wonderful asset for many folks. It has been a resource that has provided the foundation to building wealth for decades. After all, it can produce income, tax benefits and appreciation. That is quite a triple threat! Please read to the end of this post as I have a time sensitive offer for my readers at the end. Why Doesn’t Everyone Invest in Income Producing Property? If it does all those things, why doesn’t everyone do it? First and foremost, to succeed in real estate investing, it helps to be actively involved. That means all the stuff that landlords do; maintain property, rent the property, evict tenants, repairs, crisis phone calls, pay taxes, keep insurance up to date, etc. Most people today don’t have the time or the inclination to be that involved in their portfolio, so they use assets like stocks, bonds, etf’s and mutual funds since they are easy to buy and sell, and don’t require a lot of maintenance on the part of the owner. So, Rents Produce Income, What is the Problem? Yes, as long as tenants pay, rents will produce income. For most long-term real estate investors, their biggest headache is re renting a property. Not only do you receive no income while the property is vacant, you usually have to put money in for repairs and maintenance to prepare the space to be re rented. The other big headache is that until they move in, you may not find out if the tenant is going to be a good one or a nightmare! As a result of this annoying reality, many landlords will not raise rents to market rates when they find a good paying, low maintenance tenant. Its that old “the devil you know is better than the devil you don’t know”. This means that for many, especially here in the bay area, rents have not gone up as much as property values have. This means that your cash flow is lower than it should be. Lately I have seen many properties only providing a net cash flow (after taxes and all other expenses) of 1-3% on their equity!! Besides that, most of my clients who have owned income property for decades get tired of being a landlord. They get tired of dealing with tenant complaints, taxes, maintenance and repairs. They just want to enjoy their life and live off the wealth they have built. Whether it is travel, volunteer work, learning new skills or just hanging out with friends and family, most of them no longer want to devote time to property management. Now you are probably thinking: “I can just hire a management company to take care of it”. While conceptually true, the reality can be far different. It is very hard to find a competent, caring, responsible and honest management company (just ask your friends and family members who have tried). If you are lucky enough to find one, just remember, you will need to pay them, further reducing the cash flow you will get from the property. And even having this buffer in place, if anything big happens like losing a tenant or having a repair that costs more than a minimal amount, the management company will need to contact you and there you go, back in the thick of it. So Why Not Just Sell? If someone approaching or in retirement isn’t getting enough income from their property to live the life they want and they are tired of dealing with the property management part, why don’t they just sell? Well, if you sell a property you have owned for a long time, there will likely be significant taxes to pay. If the property has appreciated, there will be capital gains taxes to pay. Here in California, between state and federal taxes, that can range to over 30%. There is also another tax, it is called depreciation recapture. While you own the property, you must take depreciation deductions against the income from the property. That depreciation deduction reduces your cost basis and if you own it long enough, eventually the cost basis will be ZERO! That means when you sell it, all the proceed above that reduced cost basis is taxable. The amount that came from depreciation is taxed at a rate even higher than capital gains!! Income property investors do have an option to do a tax deferred exchange, which works a lot like rolling over your IRA or 401k, you move to a new investment, but defer the tax. Like a rollover, you must follow some very specific rules when making this move, or you could inadvertently have your transaction DISQUALIFIED, which could result in a huge tax bill! The exchange opportunity is called a 1031 exchange. As I wrote in a previous post, this exchange defers taxes and the new property will have the same cost basis as the old one, unless you buy a more expensive property, and will also get an increase in cost basis upon death of the owner. Well that addresses the tax issue, but what about the low cash flow and management headaches? Well you can address both issues by using a tool called a ‘Delaware Statutory Trust’ (DST). This tool allows the investor to exchange into a property that is usually much larger and more profitable for the owner. They can even diversify into a variety of real estate classes to diversify risk, both by type of property and locations. The investor enjoys professional management and free cash flow of 5-6% or more today based on the type of real estate being purchased. Today we have things like multifamily, self-storage, medical office, necessity based retail, and even health care hospitality. These are recession resistant categories, there are others that might pay more, but could be vulnerable during a recession. The types of properties mentioned above should perform better in a recession than something like retail or office buildings that can increase vacancies if the economy slows. I will be hosting a workshop on May 7 in San Rafael. We will be teaching about developments in 1031 exchange strategies, especially considering the changes in the tax code from December 2017, and how you can use the tool of a DST to avoid boot in an exchange, increase retirement income and circumvent taxes. The workshop is free and will go from 11:30 until 1:00pm. We will have a guest speaker who is an expert in this area and we will be serving lunch! If you have a direct investment in income property or have friends who do, this workshop will provide you with knowledge about options available to help you achieve retirement goals, so you can make better decisions. The program is focused on education around 1031 so you will have more confidence in understanding your options. There is only seating for 25 so you need to RSVP in advance so we can save your place. You can RSVP by calling 415-331-9030 or send an email automatically by clicking here. We look forward to seeing you there and helping you understand options for you to Retire Happy! https://gainerfinancial.com/wp-content/uploads/2019/04/1031-exchange.jpg 565 848 Roger Gainer http://gainerfinancial.com/wp-content/uploads/2016/07/Gainer-Financial-Logo.jpg Roger Gainer2019-04-12 20:08:012019-04-15 00:57:29How to Use Real Estate Exchanges to Improve Your Retirement Happiness! The following is the transcript from Episode 13 of Retire Happy with Roger Gainer, a financial and business audio podcast. Roger: Retirement income planning is really the critical piece of the puzzle to financial security, happiness, and peace of mind in the long run. There’s a lot of ways to approach it, but stumbling into a strategy is not gonna lead to the results you’re looking for. Clark: You’re listening to “Retire Happy” with Roger Gainer, President of Gainer Financial & Insurance Services Inc. Just about anyone you ask about money and about retiring, they all have their own opinions, they never run out of them. But how do you know what opinions are worth listening to? How do you know what tools actually work? And what should you avoid? But rest assured because, in this episode, Roger is discussing the tools and the strategies he uses when it comes to income planning. But he also shares some of the other common strategies that are out there that are being used right now by advisers today, along with the pros and cons of each of these. Truly helpful as you’re walking on this journey. Thank so much for joining us. I’m your host, Clark Buckner. Let’s jump right in. Roger, welcome back to another episode of “Retire Happy.” Super excited to be back on the line with you. I always really enjoy these and we’ve got some good things we’re going to cover today. But first, just want to say a quick hello and check in to see how you’re doing? Roger: Doing great. The sun is shining. We’re just waiting for life. Clark: The sun is just always shining, right? Roger: Well, it rained a couple of days ago, but it just is a beautiful day here in downtown San Rafael. Roger: …holidays starting to get into full swing and that’s just always a wonderful time of the year as far as I’m concerned. Clark: Good deal. Well, I am eager to talk about the topic “State-of-the-art Income Planning.” Now we’ll explain what that means. And it’s quite the epic title and it’s a phrase, you kinda spun together, you know, just a few moments ago and I love it. Let’s roll with that. So, we’re going to talk about, I know you’ve just got a new certification from…it’s called RICP from American College. We’ll talk about what in the world that is, why it matters. We’re going to talk about some of the different strategies that advisers are using today when it comes to retirement and to stay out of the weeds. But we’ll still talk about three or four of the main different styles and strategies and then finally, maybe we can get to some of the pros and cons to be looking out for when planning to retire happy. So, let’s just start from the top. So, what is RICP? What’s the certification? Kinda walk me through why you’re really pumped about this. Roger: Okay. Well, sure, Clark. I’m very excited. I did just earn my RICP, well, about six weeks ago. It takes the American College about a month or so to check your background, make sure you finished all the prerequisites, and experience, and work requirements to be conferred the designation. It stands for Retirement Income Certified Professional. And the American College is currently the only place you can get that designation. The American College also conferred my CHFC, my Chartered Financial Consultant. They do CFP, a Certified Financial Planner, CFA, Certified Financial Analyst, MSFS, Master of Science in Financial Services, and a whole bunch of other financially-related degrees and designations. So, they are kinda the state-of-the-art for financial education in this country. Clark: That’s probably the case for a lot of people, isn’t it? Roger: Yes, it is. Yogi Bear gets attributed a lot of things. So, like, “It ain’t over till it’s over.” He never said that. Roger: But it sounds good and it sounds like him. And Will Rogers certainly was the conscience of America. And I found, over the years, that everybody gets taught and told and explained, how to get money into investments, how do you contribute to your 401k, how do you finance and purchase real estate, how do you build a stock portfolio, invest in a hedge fund or, you know, those kinds of things. But almost never are people explained how to get their money back out and how to live off that money because, after all, if we’re saving for wealth, wealth in and of itself doesn’t do anything. It’s not going to keep you warm at night, it’s not going to fill your stomach, it’s not, like, you’re going to tear up a bunch of greenbacks and, you know, fry them up and eat them for dinner. That’s not what it’s for. Clark: Okay. Yeah. I like the visual here. Roger: Okay. So, well, money has to be for a purpose. And for most people, that purpose is not keeping score as much as it is to create security. See, there’s only two ways to live and that is you at work or money at work. The bottom line is to support your lifestyle, is that it requires income. Think about it. You can’t…say you own a house and you own it outright and you want to go down to the Piggly Wiggly or a Safeway and pick up dinner, it’s not like you can knock a couple of bricks off the porch, take it down, and hand it to the cashier and say, “This is $50 worth of my house.” Right? That just doesn’t work. So you need income. And income planning for previous generations was a lot easier, frankly. We had more people covered by pensions, so you didn’t have to really think about that income strain, it just came in, Social Security made up a larger percentage of people’s expenses, and we had higher interest rates. You know, if we were having this conversation, Clark, back in say…oh, I don’t know…1980 when interest rates, you know, the prime rate was up at 18%, what would we be doing? We’d be out buying CDs, or treasury bonds, and locking in a very high coupon for years and years to come and just live off the interest. It would be a piece of cake, really. Where today, you know, 10-year treasuries are returning 2.3%, 2.4%. That’s not enough to live on for most people. So, this is why we’ve seen this evolution, some would call it de-evolution, of income strategies. It’s something Wall Street has tried to ignore for years and years and years. I thought that made a lot of sense to me. But now 2008 came along, 2009 and that blew up the 4% rule. Now generally accepted, it’s a 2.8% to 3% rule, which clearly isn’t enough for most people. So we have modifications on that. And we’ll talk about that a little bit later. But I went and got the RICP simply because I wanted to know what the state-of-the-art was, I wanted to see if the strategies that I’ve been pursuing for years were, in fact, valid based on, you know, the academic breakdown and analysis, and if there was any other information out there that could really help me both protect and secure happy retirement for my clients and found that there was a lot of stuff. And also that a lot of what I was doing is now coming into the so-called state-of-the-art. Clark: Great. I think that’s a really good transition to talk next about what’s happening and the overall retirement business. I know you’ve just got this particular certification, so you’ve been kinda revisiting some of these different strategies and revisiting with just what all is happening right now. So, this next question is, in the context of what’s happening overall in the retirement business, what strategies are different advisers using for income planning? I know you’ve just talked about one a moment ago, but if you wanna…just to keep it high level three to four main ones…what are some of the Styles and then the why behind that? Why would that style be a good choice? Roger: Okay. Well, first and foremost why, you know, income planning becomes the most important thing at this phase in life? For an entire lifetime, your working life, your bills are paid based on your ability to wake up, head off to work, and earn a paycheck, whether it’s in your own business or working for somebody else. And that’s how you pay your bills and you take, hopefully, a portion of that, you build it into savings and build some wealth and net worth. And people do a pretty decent job of focusing on that job. And the strategies we’re taught are wealth-building strategies, things like dollar cost to averaging and, you know, avoiding losses, diversification, all those wonderful things that you’ve learned about in building wealth. But at this transition in your life, it’s the first time you’re going to do something different, radically different, a 180 degrees different. You’re going to now stop bringing in a paycheck for your financial security and instead, you’re going to turn to your money at work and you’re going to want a paycheck from the money at work. And so the demand is different. It’s a very awkward transition for many people, that’s why I focus on it. And there’s way more than just money involved in this transition as we’ve talked about before, Clark. But it does in my experience require a different approach and this can be incredibly uncomfortable, not just for clients, but for advisers. People in financial services who’ve done one thing one way because, frankly, their clients weren’t that old. So, they didn’t have to worry about people wanting to take money out. They just were worried about building more wealth and creating those investment strategies and that sort of thing. And the adviser said, “Well, the portfolio is constructed. It’s spinning off about $45,000 a year.” Her problem was she needs $145,000 a year in income from that portfolio. So, when I sent her with that question, they said, ‘Well, we’re just gonna cash stuff in.” I said, “Well, why don’t you just take the cash that’s being generated when they make a trade or take profits?” And they said, “Oh, that messes up our strategy. So, we’re gonna sell things specifically to give you income each and every month.” And that’s fine except…then I asked her to find out what their tax strategy was? And the adviser came back and said, “That’s not our problem and it’s not our area of concern. Our concern is to make you money and your CPA is gonna take care of the taxes.” Well, I don’t know about you, but if you’re paying out 35% in taxes, that’s a drag on performance any way you look at it. So anyway, we’ve been going back and forth trying to get an income strategy out of the adviser. And the adviser really works with… It’s become very apparent to me, works with a one or two portfolio strategies and then they just fit everybody into that strategy. So, their answer is, “Well, we’ll just cash it in.” Now they have come back recently with one of the four state-of-the-art options, but when you really analyze that option, it’s going to have a devastating effect on overall performance. So they said, “Well, we’ll just keep four or five years worth of your income sitting in cash or in short-term bonds, which we know are paying very much.” So, if she needs a $140,000 a year and they’re gonna leave that amount of cash five years’ worth, well, that’s, you know, almost 3/4 of a million dollars, five years’ worth of that money. That’s a little over $700,000. And given the overall size of the portfolio and that much money sitting in non-competitively yielding investments, she’s going to run out of money. You know, as sure as I’m sitting here, I’ve worked through the projections. And she’s going have to never have a correction and earn at least 7% or 8% every year. Now the problem is, in a really great year, that manager only returned 6.5% over the last 12 months. So how in the world are they gonna give you those returns in bad years? In fact, she’s coming in today, we’re gonna have…that’s the discussion. You know, how is this going to be a viable strategy for you going forward? So, one of the more popular Wall Street strategies is the systematic withdrawal strategy and all that says is you input a percentage withdrawal from your portfolio each and every year. And in years that the portfolio is up more than 10%, you can give yourself a raise and if the portfolio is down more than 10%, you have to take a cut in pay and adjust your lifestyle down. I think the drawbacks of that strategy are pretty obvious. Roger: And most of my clients are now looking to tighten their belts during retirement because the market was down. You know, I think that’s kinda goofy. Why should your financial peace of mind and lifestyle be that dependent on an outside index? But it is a valid strategy and mathematically, it makes sense. And what it does, if you’re willing to take that cut in pay, it will extend the life of your portfolio and because down markets aren’t gonna have as much damage by withdrawing money from your portfolio when the market is down the same amount. Does that make sense? Clark: It is. So that’s systematic withdrawal and basically, it sounds like you’re taking some of the money out of the pile until the pile is gone. Roger: And you hope that the pile isn’t gone before you are. Clark: Right. Yeah. That makes… Yeah, that makes it… It’s real life, right? Clark: What do you tell them? Roger: Well, we can do that. Our strategy is that we’ll guarantee that that’s exactly what happens. However, you know, for most people they need that cyanide pill because they don’t know when it happens. Roger: …because that’s your last dollar. So you better have the other side of that equation in place. Clark: It’s just a lot of uncertainty, yeah. That’s just, like, slim, slim chances. Roger: A lot of uncertainty, exactly. You know, and that’s one of the hard things is, you know, you don’t wanna leave a whole lot that you could have used or enjoyed more, right? I mean, what’s the point of struggling and scrimping and, you know, not enjoying your life, so you can leave a bunch of money to somebody else? I mean, I know that’s important to a lot of folks and we can build strategies to take care of leaving a legacy to others, whether it’s to charity, family members, dependents, etc. But what I’m really talking about is creating that confidence to enjoy the lifestyle of your choice and not run out of money. And if you’re worried about running out of money, that creates its own stress. I was at a conference a couple of years back and the speaker was talking about this very thing, he said, “My folks were both school teachers and both retired with pensions. They lived a modest life and they enjoyed the things they enjoyed, but it was just a simple life. And now they’re retired, they have some savings, but they both have pensions.” And his wife’s folks owned a business, were very, very wealthy, lived an extravagant lifestyle. And the gentleman had planned out his life’s retirement based on the numbers. Your life expectancy is gonna live to this many years, and you need this many dollars and this rate of return and, you know, everything will work out fine. He’d set up his spreadsheets and figured out, you know, how much he could spend and he figured he’d be dying around age 80. The problem was he’s still alive at 87, but he ran out of money at 80 and realized that that was going to happen at about 74. So he spent six years stressed out that he was going to run out of money and then he ran out of money and now they’re miserable. So, they really didn’t get to enjoy much of anything. And the difference is that reliable income stream instead of systematic withdrawal. So, that’s one of the cons of that strategy. Now it does get a little bit better if you add what this other adviser…if you have enough money to add that big element of cash. But for most people, it means having more than a third of your portfolio at a given time in cash and today, most cash strategies aren’t paying very much. Maybe in a future podcast, I’ll talk about a strategy for cash that is paying more like 4% tax-free in liquid these days, but it’s a pretty obscure strategy and a lot of people just aren’t using it. So, what the bank is paying is less than a 0.5% for the most part. Clark: I can, of course, understand if some of these other questions… This might need to be a continued conversation because I know over this whole podcast, it is…you know, we have these individual conversations, but it extends to one much larger conversation. But I did want to ask before we start wrapping up today, are there any other strategies you want to talk about, whether it has to do with tax diversification or accumulation? Clark: Anything else, in the last couple of minutes, you want to talk about of the strategy type and kinda what that could be a tool for someone? Roger: All right. Well, I do want to talk about tax diversification. But let’s kinda just check off some of the other major strategies. One is called the flooring strategy. And I kinda referenced it, why it was easier in previous generations because they had pensions. So, flooring strategy says we set up guaranteed income streams that will cover all of your main bills. So, it makes sure you have a roof over your head, you know, transportation at your access, and food in the fridge. And it’s so all of your basic necessities are taken care of with highly reliable income streams, be it Social Security, pensions, or other alternative income streams that you cannot outlive. That’s what we’re talking about. Sometimes annuities are used in that, sometimes long-term bonds, real estate…it can be a substitute, but it’s not as secure as these other ones because obviously if a tenant stops paying, you lose your income. So there’s a little element of uncertainty when we use real estate that we try to lay in some protections to make sure that if we’re going to depend on that real estate income for this purpose, that it’s highly reliable and very, very conservative. So, that’s the flooring approach. Another approach is called the bucket approach. And we have a bucket of money for what we’re going to be spending here in the next two or three years. And so the strategy that I talked about earlier is a modified bucket approach. They didn’t really have the other buckets designated. So then we have an intermediate bucket, if you will, that will pay our expenses in 5 to 10 years so we can earn a little higher interest rate. And then the third bucket is your rest of the life money and we can invest that a little bit more aggressively and harvest gains when they’re available to add to the second bucket for that intermediate-term boost if you will. And then we’re harvesting off the intermediate term and putting it into the near-term bucket. So, a little more effort to track that, but still very, very workable and reduces the fear of market corrections and volatility in that main strategy. Now you did mention tax diversification and I’d like to just touch on that because it’s really been in the news a lot lately. We have the House of Representatives recently passed a plan. And it looks like next week after Thanksgiving, the Senate is going to be voting on their “plan for tax reform,” is what they’re calling it. And it changes quite a number of tax features. And for most people, over the next 10 years, as written, what’s been released, will actually increase your taxes. You’ll get a small drop in taxes in the next couple of years and then a fairly significant increase in taxes 6, 7, 8, 9, 10 years out for most middle-income and low-income Americans. That’s just the way it’s been written and I don’t want to get into the weeds on that in this format. But the point is that Congress will never stop messing with taxes. So, if all of your money is sitting in a 401k right now and you’re looking at them increasing ordinary income taxes, see it doesn’t matter how good my strategy was. If I could earn an extra 2% or 3% over my lifetime, they can wipe that out by increasing taxes by a few percentage points. And all that hard work just gets wiped out with the stroke of a pen. So, that’s why one of the things we really focused on is trying to get clients to diversify under the tax code. Wealthy people understand this because they don’t earn income, they just have stuff that earns them income. And so when they change the tax law, they just shuffle the stuff around to a more tax advantageous posture. And it’s possible for middle-income people to do the same, you just have to think about it in advance. There’s lots of different tools out there. There’s Roth IRAs, you know, when we can get tax-free income, there’s individual stocks and real estate, where we can do capital-gain-type taxation. So, this is the kinda stuff I’m talking about, not just being in that ordinary income, which is how your 401ks, IRAs, TSAs, Social Security, all that stuff, pensions, is taxed as ordinary income. So, you don’t want to be too vulnerable and just be in that one part of the tax code because then you’re really at the mercy of Congress. Clark: Now how in the world do you keep track of all that, everything that’s happening with Congress, with the Senate? Roger: I read a lot. Mostly I researched the doctor to make sure that they were up on the state-of-the-art and knew all that stuff. I found a great doctor, and we had a great outcome, and I’m just dancing these days. So any professional really needs to stay up on the state-of-the-art in their profession. The world’s a lot more complicated these days than it was 50, 60, 100 years ago. Clark: Right. Well, for someone who is at that beginning stage, who’s trying to think through all their different options and starting to just try to get just a start with organizing their own thoughts on where all this stuff is, I’ve got to mention the thought organizer. And I always love to do this because this is always such a great spot to not just leave someone hanging, but actually give them, the listener, an actual opportunity to use a free tool that you offer that helps them navigate just the beginning waters for all of this. So, do you want to, kinda, provide some additional insight into what the thought organizer is and why it’s so important? Roger: Well, sure and thank you. The thought organizer is really a first step on clarifying you’re thinking about what you want from your life, both intellectually, emotionally, socially as well as financially. That’s really what it’s designed to do, is to get you thinking and creating the contexts of, “What the heck am I doing all this for?” Until you know why you’re doing it, you know, understand your why, you’ll never ever be happy with what you’re doing. And as long as you can maintain context, it’s much easier to create that satisfaction and to frankly select strategies that fit. You know, we were chatting before we started today and I was talking about, you know, how good you feel when you’re buying new clothes and they fit properly, and you look in the mirror, and you look good, you feel good, and you’re just ready for anything. You know, if they’re two sizes too small or too big, you’re thinking more about how uncomfortable you are then just what’s going on around you and enjoying being. Well, it’s pretty much the same thing with some of the strategies I’ve just mentioned. Those are basically, you know, fashions, different ways of approaching the same problem. So, when you use the thought organizer, and you’ve created your context, and you understand what things make you uncomfortable and what things you’re comfortable with and where you like to see your life in 5, 10, 15, 20 years, you start selecting those income strategies that fit, that are comfortable for you, that will lead to that peace of that mind, which is so critical in achieving happiness in your life. And I know you’ve got a few years to go, Clark, before you’re really coming down that homestretch to retirement, but the sooner you start thinking about those kinds of issues, the easier it is, the more you are in sync, so that when you get here…you know, when I sit down with somebody who has never thought about these things and they’re in their mid-to-late 60s, it’s a lot more traumatic, it’s a lot more difficult, and there’s a lot fewer options available. So, yeah, the sooner you start on figuring this stuff out, the better and easier it’s going to be. Clark: Thanks, Roger, as always, for sharing your experiences and talking about some of your different stories that really kinda help make all of this so much more real and understandable. I really appreciate it and I’m looking forward to talking with you again soon. Roger: All right. I do too. Have a great holiday. Everybody, just enjoy your end of the year, all the goodies that come with it. The following is the transcript from Episode 12 of Retire Happy with Roger Gainer, a financial and business audio podcast. Roger: A lot of people are just plain intimidated and overwhelmed by this decision making process and understanding what they’re investing in. So this is my great concern is cutting off a large chunk of our population from really the financial education and support that they need to be successful. Clark: You’re listening to Retire Happy with Roger Gainer, President of Gainer Financial and Insurance Services, Inc. Thanks for joining us. I’m your host, Clark Buckner. In today’s episode we’re going to learn more about a fiduciary rule, recently put in place by the Federal Department of Labor and how it’s gonna affect the advisors and clients when it goes into full effect at the beginning of 2018. Along the way, we’ll also dive into the world of Robo-advisors. What that means? We’ll get to that. And how conflicts of interest can play an unexpected part in the world of finances. For more content like this, be sure to visit gainerfinancial.com. Enjoy the show. Roger, welcome back. I’m so excited to talk with you today about an interesting topic. I’ll kind of tee it up in just a moment. But first, how are you doing? Roger: Oh, things are great, you know. Summer seems to have exploded on the scene and it’s just a great time of the year. A lot is going on and we had a great client appreciation event last week. People had a great time and it’s just our way of saying thank you. And it just kinda opens up the summer season where it’s just non-stop. Good things going on. Clark: Well, speaking of summer, you went on vacation recently, right? Roger: Well, actually we went to a dear friend’s, kind of our godson informally, his graduation from University of Colorado in Boulder. So that was great. It was a great weekend. I hadn’t been back to Boulder for many, many years. My wife had never been there and…it’s just a great little town. Clark: Wow, I love that. Well, good. I’m glad that we’re back together and I’ve got a topic in mind that would love to have your clarity on. So recently in the years, and there’s a lot going on in the news these days, but recently in the years there’s a new set of rules of the fiduciary standards. Roger: You mean the Department of Labor rules that went into effect last week? Clark: Right. So there’s like a new standard for advisors. There’s a lot of different opinions and perspectives on it. So with these standards…you know, what are they? What challenges does it create for both advisors like you and customers who are looking to plan for retirement? People who are trying to navigate, can seem very daunting and very overwhelming. Roger: Well, you know, like any major shift in policy regulation, really in any endeavor, it takes a while to figure out exactly how it’s going to affect everybody. You know, when we had the healthcare overhaul a few years back, we didn’t know what that was going to do to premiums exactly and now we know. We’re a few years down the road. I kinda call that the law of unintended consequences. But with this rule, we’ve changed the nature and the format for providing advice to folks about their retirement accounts. So this is a Department of Labor Fiduciary Rule. And it went into effect last Monday except it didn’t fully go into effect last Monday because they’re still taking a commentary, the Department of Labor. They’re still writing out some of these regulations and fleshing them out. And the full rule won’t be implemented and in place until January of next year. So we have some early parts. There’s some new disclosures that we have to offer. But I think maybe it will help people to understand what is different. What does it mean to be a fiduciary? Fiduciary, the short version is I have to put my clients’ interests before mine. And I know a lot of people thought, “Well, wasn’t that the way that it was always supposed to be?” I voluntarily became a Fiduciary about 10, 11 years ago. I gave up my registered rep broker’s license, and I’m a fee-based financial planner now. And up until last week, about 15% of the industry operated voluntarily under the standard by becoming a registered investment advisor or affiliating with a registered investment advisor as an investment advisory representative, which is what I am. So what that means is simply we sign an agreement with folks and I can do comprehensive financial planning for people looking at taxes and estate planning, risk management to, yes, investments and other business agreements, etc. This is a more specific rule because it just regulates how advisors have to act in relation to helping people with retirement accounts. So what are those? IRA’s pretax contributions, deferred compensation plans that are ERISA plans, not deferred compensation that isn’t 401k’s, money purchase plans, SPEs, SIMPLE plans, and the like. So anytime you have money in a retirement account and you sit down with an advisor to discuss what’s in the account, this fiduciary rule is what’s in charge and dictates the engagement. Clark: Okay. So when we zoom out a little bit and we kind of create this two different buckets with challenges that advisers have and then the challenges people looking for retirement help, people looking for assistance. What would be like maybe just two or three bullet points? We had a bullet way down like just top of mindset of what those are. Roger: Okay. Well, for investors, one of the big concerns if you’re a middle income or lower income investor, in other words, you’re starting out, you’re just trying to put some money away, send it forward, build some capital, the liability is gonna be so high. It’s gonna be very difficult to find advice from anybody, anybody to discuss how do I get money out of here? What’s the best strategy? What kind of investments are appropriate for me? Clark: Yeah, how do you define a Robo-advisor? Roger: Well, Robo-advisors are investment platforms that are run by computers. So you essentially go to a website, you register, you answer series of questions about mostly risk, and they make investment recommendations in portfolios that are managed by computer algorithms. So they really are Robo-advisors. There’s not a human interaction in that decision making process. These forks are likely to flourish actually under this model, whether that is good or bad, only time will tell. This is a relatively new phenomenon. Robo-advisors have only been around for three, four, to five years. And we’re still working out some of the kinks and seeing how that works out for the investing public. I think there’s some potential there, certainly. But otherwise, you’re gonna be on your own, you know, going to places like Fidelity or Vanguard making these decisions on your own, or paying somebody like me. And that’s where it really is gonna break down for that new investor or somebody that doesn’t necessarily have hundreds of thousands or millions of dollars in one of these accounts. They’re gonna have to pay me by the hour, and that’s gonna keep a lot of people away from working with somebody like me and getting advice. So they’re kind of gonna be running around in the dark. And from talking with thousands of people over my career, a lot of people are just plain intimidated and overwhelmed by this decision making process and understanding what they’re investing in. So this is my great concern is cutting off a large chunk of our population from really the financial education and support that they need to be successful. Clark: In previous podcasts, we’ve talked about how important it is to remove emotion, right? Remove emotion from making decisions. And I’m assuming about Robo-advisor, I mean, there’s obviously no emotion there, so that’s probably a good thing. But I’m curious, so, well, what do you think are some of the potential challenges based on the people you’ve talked over your entire career, or you just mentioned thousands of people, what do you think would be a downfall, even though they don’t have emotion and that’s a good thing, what do you think is a bad thing with that style or that tool of the Robo-advisor? Roger: Well, one of the things I worry about and there’s been a lot of studies that show that people who work with advisors tend to not be as emotional in making financial decisions. And so if I’m working with a Robo-advisor and we start to see a crash like 2008, you know, is somebody gonna jump out and never get back in? Are they gonna say, “Oh, I can’t put money towards my retirement. I’m just gonna lose it anyways”? I’ve heard a lot of that in the early 2000s and again in ’08, ’09. “What the heck? I don’t wanna save it and then just lose it in the market. I might as well just have a good time now and worry about it later.” So I think there could be a reduction in participation in savings programs. That’s probably my single biggest concern. Now one thing I’ve learned about people is people don’t like to be wrong. Even though being wrong gets you to the best right answer eventually and the most successful people got no or failed more often than others, people just don’t like to be wrong. I’ve had people come in here that were referred to me six or seven years before they actually showed up, because they were embarrassed about what they were doing. They didn’t think they were doing as well as they should be, or they didn’t think that they were in the right investments. And they didn’t want somebody to tell them they were wrong. So they just didn’t come and seek advice just because of the ego, even though they felt a little bit overwhelmed or a lot overwhelmed in a couple of cases that come to mind, and they knew they weren’t on sustainable courses. They were just afraid to find out what they were doing wrong. And I’m just afraid that we get another downtown because you know they’re coming. It’s like buses, they just come periodically. Okay? So you have to expect that they’re coming, but the question becomes, “When and how do I deal with it?” So if I have a bad experience with one and I say, “Gee, I’m never going through that again,” then, you know, you could end up frozen and not saving anything at all and find out you’re getting into your 60s and 70s and I can’t work anymore and I don’t have any money, and suddenly the social safety net is expanded dramatically. And that’s a potential unintended consequence. I don’t know that’s for sure that’s gonna happen, but that’s probably the single biggest worry that I have is folks that are doing it on their own. You know, Suze Orman has always said, “You can do it on your own. You don’t need any help.” And I talked to a lot of those people and they either put their money in stuff and close their eyes and cross their fingers and hope it goes up and find out years later it didn’t, or they just don’t do anything. They’re frozen like a dear in the headlights. Clark: Right. So they don’t have like an empathetic insight maybe or they don’t have like the human to human insight that you can’t replicate. Because you can meet someone where they’re at. Maybe they have been embarrassed, maybe they’ve felt the what if’s too long, and they’ve just been frozen in their tracks. It takes another human to reach out and say, “Hey, we can do this, or let’s take a look at things.” That seems to be much more empathetic than just, I don’t know, an algorithm. Roger: There’s a big difference between money helping you sleep better at night or keeping you up and awake. And if you’re not confident in what you’re doing with it, it’s gonna keep you awake. It’s gonna become a source of stress instead of a source of comfort. And really a Robo-advisor can’t talk you through those things. Then it gets back to that, “I’m doing what somebody told me I should be doing instead of what’s comfortable to me.” There’s a lot of approaches. There’s a lot of different ways to get from point A to point B. To get from I’m working to I’m happily retired. And figuring out the correct approach for you, your psychology, your lifestyle. You know, I had a couple in here yesterday. I hadn’t see them since November because they’re just that busy. And so we did a little bit of work for them in November. We did some investing because that’s what they asked for, but they know they want and need comprehensive financial planning. They’re paying too much in taxes. Their risk management is all out of whack. And they’re just super, super busy. But they were stressed out when they came to me that they weren’t gonna be able to retire. Now we have a path and they’re so busy that we’ve selected tools that they can just look at once or twice a year that don’t need constant monitoring and attention, or even semi-constant monitoring and attention, because, frankly, they’re just too busy. They don’t have the time. So Robo-advisors will advise you within the parameters of their programming. But they can’t make those adjustments based on those kinds of psychological inputs. I can’t imagine some way, I suppose maybe eventually, artificial intelligence can be adapted, but we’re probably quite a ways from being that adaptive to figuring out that stuff. Roger: And so these folks, you know, we went over again what we did back in December and they said, “Well, what other alternatives?” We went over a few of those. And they said, “No, that’s just gonna take too much of our time.” So we’re really happy with this approach. It’s not an approach that would have ever, ever come up with the Robo-advisor. I can guarantee that. Clark: Right. Well, I think that’s a great way to use a topic to kind of talk about how there have been changes and Robo-advisors being some thing that, you said, just a couple of years and still gonna take very long time for it to be really be at all comparable. But for where things are right now, probably there’s a little bit of a connection to the recent news that we’ve been talking about with the fiduciary standards changing or potentially changing and what that means for advisors and investors. So right now, I know you said this earlier, but I’m just trying to really wrap my head around it. So it’s moving away from the opportunity for it to be fee-based. Clark: Oh, it’s only going that… Can you clear that up for me a little bit? Clark: Maybe that’s what I was thinking of. Roger: So, you know, you buy a mutual fund and the advisor earns a commission. You buy an annuity, the advisor earns a commission. You trade a stock. There’s a trading fee. Sometimes, you know, there’s a flat fee based on the percentage of the assets under management. AUM is what it’s referred to in the industry. And that’s become more and more, the more common model, but there are still products that advisors earn commissions on. And so under this new standard, there’s going to be more disclosure about commissions, costs, fees, etc., which is I have no issue with that. You know, I’ve been lobbying to restructure commissions in certain lines of financial products for many, many years, but laughed down at a lot of conferences. And I’m hoping that we see some restructuring. I think it will be good for the client ultimately if we see some restructuring there. But initially, it’s gonna change the focus from the customer to the advisor I think. It’s certainly gonna slow down processes because there’s gonna be extra layers of paperwork. There’s already a lot of paperwork compared to what is was 20 or 30 years ago, and now there’s gonna be even more paperwork that has to be done. Some transactions will take a little longer. That’s not a huge consequence. What I worry about is the vagueness of the implementation of this rule and I’m gonna be very hesitant to work with just anybody on their retirement and considering our entire practice is based on helping people successfully make that transition to retirement. It’s gonna be an interesting next few months, maybe even the next couple of years while this all sort itself out. As one of my mentors said a couple of weeks back, “If you’re already doing things the right way and documenting everything and operating as a fiduciary and getting to know your client and all of those goods things, you shouldn’t have a problem.” So I’m not too worried in that way, but a big chunk of this rule was written by the plaintiff’s bar in such a way that I think it opens advisors up to tremendous amount of future potential liability. And I think there will be some frivolous lawsuits hiding behind this rule. And that’s the other big worry because that will add a ton of cost and make certain products frankly unattainable for the investing public. Clark: I know we’ve also talked about, in the past, there’s no single product that is the match for everyone. That’s all about options to sort of navigate all that to find the best option on your path to retirement. But when you kind of boil all this down in all of this change and some of the worry that it creates with the vagueness and kind of the uncertainty, what do you think it’s safe to be optimistic about right now? Maybe this is to the people that you’re advising, your clients or maybe this is to people who are kind of on that fence right now, maybe it’s the person you said earlier. Maybe they’re kind of like coming out of something or maybe they’re just kind of afraid. It is such intimidating stuff and it can feel very exclusionary and just flat-out intimidating. But what would you say is something that we can look forward to despite there being some changes in how that looks like it’s all going fee-based versus the commission-based? Roger: Well, first, I think it’s an encouraging direction in terms of consumers. I will encourage all listeners to monitor how this evolves and keep in communication with your elected representatives to make sure that as the rules are fleshed out and the guidelines are published, that we keep it consumer friendly as opposed to attorney friendly. I think it’s gonna take a lot of vigilance on the part of the investing public to make sure that their needs and their interests are being kept in line. It’s not just the brokerage firms and the legal establishment enjoying the benefits of this. It’s really supposed to be for the consumer. And I’m afraid right now it’s not as consumer friendly as it certainly could be. But coming out of it, if we stay and keep an eye on the right outcome, removing some of the conflicts of interest, and I wanna comment on conflicts of interest in just a moment, but, you know, I’m optimistic that ultimately, we can get this thing right. I think a fiduciary standard is a good thing. I just think it needs to be clarified, distilled in a little simpler in wording, complexity tends to lead to lawsuits. And, you know, I want people to get good solid advice that is tailored to their specific situation. So, on the other side of that, what’s an optimistic thing? I think there’ll be more fee-based advisors to choose from ultimately. Although we’ve already seen a significant exodus from the industry. I was reading this morning that there are 22% fewer independent broker dealers than they were three years ago. And, you know, anytime we see consolidation to the bigger and bigger companies, usually it means that there’ll be fewer choices in the future and cost will increase because of a lack of competition. So because the cost of compliance is high, there might be fewer choices, but the optimism is that it comes from the ability of the rules as they’re being written to make it better for the consumer. I can only hope. Roger: Yeah. Thank you for that, Clark. I don’t think there is a profession on the planet that is not loaded with conflicts of interest. I think the medical profession is rife with conflicts of interest. The banking industry rife with conflicts of interest. Certainly our elected officials, Congress, State Assembly, local governments, they’re just full of conflicts of interest. And even school teachers and contractors are loaded with conflicts of interest. And we can delve into that topic in the future. But anytime you earn money, you know, like [inaudible 00:26:15] said, “You have to take care of yourself first.” So whether it’s enlighten self-interest or whatever, you know, the best teachers still have to retain their jobs to be great teachers. So we have tenure. Is tenure in the best interest of students? I just don’t know. Should doctors be able to own laboratories and then order lab tests that they’re gonna make money on? You know, hard to say if there’s excess stuff going on. Realtors when they sell a property, they wanna get that property sold. Is there a conflict of interest between them getting the property sold and paid or between getting top dollar for their client, and how do you know? You know, you could over negotiate and lose the deal. So this focus on the conflicts of interest, you know, it’s not the only profession that has them and even this is not gonna make them go away. Another article that I read through some commentary on the Department of Labor, said that in fact some bad apples may be able to get away with even worse and more egregious violations because now the paperwork is gonna be even more complex and it’s easy to hide stuff in there. You know, if you bought a house anytime in the last 15 years, you sat down and looked at the stack of papers and disclosures. And I understand why they’re all there and they meant well, but I can tell you when we closed on our house the title company representative was really upset that I wanted to read every single page of the stuff that they wanted us to sign. I’m signing it, I’m gonna be bound by it, I better know what’s going on and ask questions. I’m afraid that there’s gonna be some abuses that will be slid into the paperwork and people can get away with it just by saying, “Sign here.” In fact, I have a situation with a client right now under the suitability standard. Their mom and dad were told to just sign here and now they’re in a really rough situation that we’re trying to get these folks out of. So that is something definitely to keep an eye on. But, you know, I choose to be optimistic. That’s always my choice, if I can find a place to be optimistic. I would suggest to listeners that you might wanna sit down with a fee-based financial planner because at least my clients’ experience, they make money on investing in the advice that I give. In other words, I consider it my responsibility to find money or improve performance or reduce taxes in a manner that exceeds what you pay me. And if you can go in and look at that as an investment that you’re going to get a return on, maybe it will be a little easier for you to retain a fee-based financial planner to help you structure things in a way that works for you. So that would be advice I will give to our listeners. Clark: That’s good. Well, earlier on, we were talking a little bit how it all can feel overwhelming. It’s easy to feel embarrassed or feel like you’re doing the wrong thing before you go and talk to someone. So in all of that uncertainty, there is something, I know we wanna make sure we mention this on every episode, it is the thought organizer and the thought organizer is one of the tools out of the box…easy to access that you offer, and the thought organizer is an option for someone to fill out to sort of think about where are they right now? And take an honest inventory of what their goals are and then that’s just the first step to working with someone like you. So do you want to add anything about a thought organizer and why you built it the way you did? Roger: Well, we built it the way we did to help people literary organize their thoughts. You know, there’s a lot of should versus a lot of want. “I should be investing in this type of a fund or in this type of an asset.” I’m gonna sit down this afternoon with a woman who filled out, the thought organizer said she is currently unwilling to accept downside risk on more than 10% of her portfolio. But she’s full of small cap emerging market funds, junk bond funds. She’s got just a boatload of money invested in this high risk asset groups. And so my conversation is, she retained me as a second opinion. She’s paying an advisory fee for her assets under management. And I’m very curious to see what they suggested her suitability and risk tolerance were when they sat down with her originally because we have our folks fill that out without me or anybody else being around. We want to have it already filled and brought in. So comparing that with what she’s actually doing, the thing she’s currently doing are not consistent with her comfort zone and with her objectives. So if you have an advisor, if you have investments somewhere, you can use that thought organizer to help you get a solid feel for how you feel about risk, what keeps you up at night, what are your priorities. And having that context the next time you go in and sit down and review that portfolio with folks at that the brokerage firm or Schwab or your advisor, the bank, or whomever you’re working with. This gives you that context so that you can speak confidently about yourself instead of having them tell you what you should be doing or how you should be feeling. So that’s how I would be recommending people to use that thought organizer right out today. Clark: That’s great. So all that is available at gainerfinancial.com. This is usually, when we start to wrap things up, I’ve always enjoyed our conversation and I know this is a lot of stuff and I know we could really keep talking and keeping the conversation going because this stuff is pretty complicated. But I really appreciate how you were able to break it down for me, someone like me to understand. So I’ve enjoyed it. Do you have any final things in your heart before we wrap up? Roger: Well, I hope I didn’t serve to add to the confusion out there. This is one of those kind of topics where you can really find yourself in the weeds. But, you know, keep your chin up out there and if you have questions, feel free to give us a call, 415-331-9030. Happy to answer any questions about how this affects you or stuff you don’t understand. You know, we really want to see the level of discourse and decision making increased for everybody. Clark: Excellent. Roger, thank you so much. I am looking forward to our next Retire Happy podcast. Roger: Beautiful. Thank so much, Clark. Talk you soon. Clark: Thanks so much for listening to this episode of Retire Happy. Be sure to head on over to gainerfinancial.com to download your thought organizer to get started. Roger L. Gainer, CHFC, California insurance license number, 0754849, is licensed to sell insurance and annuity products in California, Illinois, Arizona, Pennsylvania, and New York. Roger L. Gainer is an investment advisor representative providing advisory services through HFIS, Inc., a registered investment advisor. Gainer Financial & Insurance Services, Inc. is not owned or affiliated with HFIS, Inc., and operates independently. Thanks again so much, and we’ll see you next time on Retire Happy. The following is the transcript from Episode 11 of Retire Happy with Roger Gainer, a financial and business audio podcast. Andy: Well, I’m sitting out on the sun porch with my feet up on the coffee table. Clark: You’re retired happy. That’s what it is. You are listening to Retire Happy with Roger Gainer, president of Gainer Financial and Insurance Services Inc. In this episode, Roger interviews a client who shares his story of retiring happy. Andy’s a retired high school teacher who worked with Roger to create a spinning plan that enabled him to live the life he and his wife always wanted. Now they enjoy the relief they gained from knowing where their income is coming from. Roger also talks us through how to apply this same approach, even during troubled economic times and how visualizing your financial plan can help you stay on track. For more content like this visit gainerfinancial.com. Thanks for joining us. I’m your host, Clark Buckner. Let’s jump in. So, Roger, you and Andy, you both met back in 2006 at a workshop. And just to keep it really high level, just to paint a picture of where things were, can you tell me really quick, Roger, where was the economy from your perspective, from a financial advisor’s perspective? And then let’s talk about where Andy was and what you did in order for Andy to in a really unique time be able to retire happy. Roger: Well, yeah. It’s one of the things that most impresses me about our work together is, you know, when we met in 2006 everything was going gangbusters. The price of residential properties was jumping in leaps and bounds especially around here. So their house was going up in value 15%, 20% a year and stock markets were doing great. And when that’s all happening, you get kinda, you know, comfortable if you will kinda like today. And then 2007 hit and, you know, that was the year that they had always targeted, Andy and Christine, had always targeted for retirement. And when 2007 began, we really started to see a major shift early in that year. Real estate markets cooled off dramatically. In many parts of the country, we started seeing prices drop dramatically. In the middle…towards the end of the year, we started seeing the stock market jump in and accelerate losses. And I know a lot of folks that targeted 2007 or 2008 for retirement just plain didn’t because their investments dropped in value and they just didn’t feel financially secure. But Andy and Christine marshaled on with that background and made what I think are great decisions, and that’s why I look forward to talking to Andy all the time. Every time he picks up the phone, he’s just the happiest guy I know. And that’s why they’ve been an inspiration and helped me with the type of planning I do with clients. They’ve really helped refine that. So Andy, if you can, go back to that time and when we first started working together in the spring of 2006 and kinda tell me what was going through your mind at that point about retirement. Andy: Yeah. Both of us were doing pretty well in our schools. Clark: When you say schools…so you both were teachers? Roger: It’s kinda like retiring on top. Andy: Yeah. Fair enough. So we both left feeling good about the work we had done and we had bought a piece of land up here at a ridiculously low price. So we had a general idea of what we wanted to do and some sense of what it was gonna cost us to get this thing done. One of the steps Roger was talking about a few minutes ago was he advised and we finally agreed that we would take all the equity we could get out of the house we had in San Rafael. And that in fact left us having to pay back to the bank when we sold the house a fairly small amount of money. But in the meantime, we had lumps of cash that we could use for other things. We knew that our short-term 10-year income was going to be safe. We knew what it was and that it would…that would dry out to the end of 2017. We knew about Social Security, what part that would play in all of this stuff. And so we had remaining things that we wanted to…other forms of money that we wanted to start using beginning in the year 2018. So that was the 10-year process if you will between retiring and going on to some of the other policies that we’re not…we haven’t used yet but we will be using in the coming year. Roger: So what you’re saying, Andy, is we put different buckets together for…to create the reliable income stream at the beginning of retirement and then we timed in additional income streams that would kick in. The next one kicks in in 2018 to match your spending requirements. Andy: And in fact, I think there was great virtue in being able to do all this at the time that the economy was going down the tubes. Historically in the United States…I taught history for 40 years and historically there…yes, there had been all sorts of crashes here and there and everywhere but they don’t last forever. So if you start out at a low point, then you’re actually in a pretty good position historically, probably to come out pretty well down the road. And we do have a 10-year span. The road is coming around the corner this coming January. That makes a big difference. Even if our investments don’t grow at all from where they were last spring, we can plan ahead, we can live on the money we will be getting starting in 2018 and plan ahead accordingly. Yes, I’d like to have more. Why not? Roger: Well, Andy, when we first started putting a spending plan together for you, an income plan, you and Christine sat down and really filled in the colors in the outline of your…what you wanted your retirement life to look like as far as dining out and activities and travel and all these other things. So we were able to put a spending plan together for both of you and I think…do you feel that that’s added to your happiness in retirement or peace of mind? Or what is the result of having that spending plan and knowing where your income is coming from? How does that influence you daily? Andy: So the concept is we don’t worry about where our next meal is coming from. We do things that we want to do. We do things that we love and have loved all of our lives. For example, this is small but it’s important to us, we first met together in a summer school. We were doing somewhat different things back and forth and we got to know one another a little bit but we wound up becoming very close friends and we got married. And we do a lot of musical things together. I’m a…I play piano and organ. Christine is a choral conductor. So we’ve got a little program that doesn’t…going up here in a little church that doesn’t pay us a plugged nickel but that’s all right. We do it for fun. Clark: And you tour too, don’t you, Andy? Andy: Yeah. We’re going to be going to a festival over in Reno early next month that we’re a part of. That sort of thing. So the ideal, I think, the ideal plan for retirement is to do what you love. And we’re in a position of not having to worry all the time. And that’s a huge relief. Roger: So Andy, one of the things that you talked about was how much you enjoy, you and Christine enjoy traveling. And you guys have been to some pretty interesting places since you retired. Name your two favorite trips that you guys have taken since retirement. Andy: Oh. Only two? I’ll give you three. How’s that? Roger: Okay. Three is great. Andy: One was the Galapagos Islands and actually several other things that went along the same trip. Then there was a month in Britain where I was doing a lot of family history research. Third one was we went to Central and Eastern Europe where Christine’s father came from and met long lost cousins and spent some time there. Now I’m up to a fourth one. We went to New Zealand for, last February, for most of the month and had a wonderful time. And we’re going to Scotland to the Highlands and Islands next June basically for the month. Andy: And these are all things that…neither of us particularly likes being part of big travel things. So we’ve never been on a great big ship and never will be on a great big ship. So Christine likes to plan out all of the…stay in this B&B, go to this site, blah, blah, blah, blah. And we…she’s been working on the Scottish trip since we got back from New Zealand. Clark: Andy, I love the visual. I can see in my mind how both you and your wife, you’re traveling around the world. You have a great life at home, you’ve got beautiful scenery, you’re enjoying it, you’re retiring happy. So as we’re wrapping up here, Roger, if you could just bring it home. Take us back…snapshot of how it started in 2006, what you had to work with. Two private high school teachers, two teachers, what you could see with the timing and how you were both able to work together to create clarity with a thought organizer. Roger, bring us home on how it all fits together. Andy: I’m going to take the liberty of starting to bring you home which is that Roger turns out to be a good listener. Roger: Well, thank you, Andy. Clark: Why is that a big deal for you? Roger: Well, listening is a critical skill because when I work with a client, it isn’t about me. It’s all about the client. So it isn’t about trying to fit everybody into the same solution and I have to get to know a client. And we spent quite a while getting to know each other, didn’t we, Andy? Roger: Okay. And really painting your picture is what I call it, you guys came with that outline of a vision. We wanna live up in the mountains. We have this piece of land and we’ve done some research and we kinda have a target date and, you know, and I’ve got some ideas that I want our house to look like. So here I’m working. I’m meeting some private school teachers who…if you know anything about the industry of teaching, they’re not the highest paid people in the education community. And they’ve done a nice job of saving on a regular basis but by no means did they come in with a huge seven figure portfolio. They were not worth millions of dollars. But they brought another thing that I thought was really impressive to me was a great attitude and an open mind. Now, Christine’s wasn’t quite as open as Andy’s to begin with, but as we got to know each other and we got to understand where they were coming from and where they wanted to get to, it was easier and easier for Christine to make decisions. We started to execute a plan towards the end of 2006 and into 2007. We implemented a variety of strategies over the next couple of years, actually. But what was so impressive, to me, was that even though there were some bumps in the road, the market had slowed dramatically for selling their house when they did put it up on the market, and maybe we got a little bit less than we were hoping for but because we knew where they were going that was not a deterrent. It didn’t slow anything down. And your ability to retire on time and on your terms really very impressive. And I just wanna say Andy, I look forward to speaking to you guys every chance I get when we do phone reviews. And you guys came down here a couple of months ago which was great. I haven’t seen you in a year or so face-to-face. But it just…it’s like the ray of sunshine. You don’t answer the phone and, “Yes. Hello.” You’re always high. So Andy, if you could give any piece of advice to our listeners, whether they’re 25 like Clark or they’re just coming into the home stretch of retirement or they just went into retirement, what would it be? What would you say your secret to being so darn happy is? Andy: You and your spouse need to have as clear a plan as you can about what you wanna do. Or even you could have a clear plan about what you don’t wanna do. You want to shape your own future. And increasingly, as you do that, you get a picture of what you’re going to need to make it happen and where you have to go to make it happen. Do all of this together. I think it’s far better to have somebody to argue with, to talk with for years as a way of coming up with a retirement plan. And don’t wait till the last minute to hope that somehow the light will come out of the clouds and tell you, “Do this.” No. Doing something takes a lot of work and a lot of thinking. Roger: I think that’s great advice, Andy. Clark: Excellent. Andy, thank you so much for being our guest today on the Retire Happy Podcast. Roger, always a pleasure. So final call to action. We always like to wrap up things with inviting the listener to fill out that thought organizer. So real quick. How can someone access that? What does it mean? And how does that get them connected to you? Roger: Well, I think Andy summed it up perfectly, why you use a tool like the thought organizer. Because it…he and Christine were able to get on the same page, were really able to work towards a clear vision. And the thought organizer is a tool that’s designed to do just that, to help you begin that journey to clarifying your thinking and to getting on the same page with everybody that’s involved in the decision-making. So if you go to our website at www.gainerfinancial.com, scroll down to the bottom of the page and there’s a button that allows you to download the thought organizer. There’s no cost. And if you are single and doing it, that’s great. If you are married and doing it, make two copies and complete that in a room separate from your spouse and then compare your answers. If you do download the thought organizer and you would like to come and see if I can help you clarify your thinking, contact us through the contact us section of our website and I would be happy to extend a free consultation to see if I can help you achieve a happy retirement. Andy: And when you’ve done all that then…when you’ve done that stuff, you begin to see the money as a tool, not as a big goal. It’s a tool to get you to the goal. Roger: I think that’s the perfect sentiment to end on, Andy. That’s great. Clark: Thanks so much for listening to this episode of Retire Happy. Be sure to head on over to gainerfinancial.com to download your thought organizer to get started. Roger L. Gainer, CHFC California insurance license number 0754849 is licensed to sell insurance and annuity products in California, Illinois, Arizona, Pennsylvania, and New York. Roger L. Gainer is an investment advisor representative, providing advisory services through HFIS Inc., a registered investment advisor. Gainer Financial and Insurance Services Inc. is not owned or affiliated with HFIS Inc. and operates independently. Thanks again so much and we’ll see you next time on Retire Happy. The following is the transcript from Episode 10 of Retire Happy with Roger Gainer, a financial and business audio podcast. Roger: Anytime we see a major disaster or something that catches the news, inevitably, the crooks follow in the wake and try to snag people who are naturally nervous. Clark: You’re listening to Retire Happy with Roger Gainer, president of Gainer Financial and Insurance Services, Inc. It seems that every single time we turn on the TV, there’s news of yet another security breach and millions of Americans’ personal and identifiable information is at risk. Sadly, Equifax is just one more example added to the books of a worldwide impact from hackers throughout that try to take our information. So on today’s episode, we’re taking a closer look at how you can protect yourself with these easy-to-follow steps, including how to not fall in the trap of common scams like phishing emails. Thanks for joining us. I’m your host, Clark Buckner. Let’s jump right in. All right, Roger. Welcome back. I am really looking forward to talking with you today. There’s some really important things every episode we talk about here on Retire Happy. But right now, we’re about to talk about some of the recent data breaches, and not just specifically what is happening with some of these big security vulnerabilities that are impacting millions of people. We’re gonna be talking about some actionable tips that anyone can implement. And that’s kind of the main objective for today. So how does that sound to you? How are you doing? Roger: Oh, I’m doing great. It’s a scary situation. And we’ve always talked to clients for years and years and years about protecting your identity, protecting your credit. I’ve known people who’ve had their identity stolen and it’s a nightmare. It becomes a full-time job trying to get your identity back. And so protecting it in the first place, it might make a couple of things a little more inconvenient in life, but it’s nothing compared to the inconvenience of trying to get your financial life back if somebody has hijacked your identity. Clark: Out of curiosity, I don’t know anyone personally who this has happened to but are there just one or two general examples? I mean, of course, like, don’t have to mention any names of people, but just what that looks like zoomed in on an individual person’s life. What happens if their identity is stolen and they find out someone has been doing something that they, of course, didn’t authorize? Roger: Well, there’s two main kinds of identity theft here. One is having your tax refund stolen which is happening more and more. I work with a lot of tax preparers and every year, there’s more stories. And last year, there’s quite a few more stories about people filing their taxes and applying for refund and getting a letter from the IRS that says, “You’ve already gotten your refund and there’ll be no refund for you.” And we’re auditing your tax return because somebody took their tax ID number and filed a false tax return, claimed a significant refund. And now that they’re…after the refund’s gone out, now they’re talking about audits and different things. Plus, the people who should be using that tax ID number are unable to file for their refund. They are gonna get fined for not filing a proper return and all those other issues. It’s really…it’s frightening. And the other side is when your credit is stolen, if you get…somebody can open credit cards and lines of credit in your name, run up huge bills, and then not pay them which, you know, will drop your credit scores dramatically. So the next time you want to buy a car or refinance your house, you know, to even just apply for credit card, you’re gonna get turned down or charged a much, much higher rate. And usually, that’s how you find out that somebody’s stolen your credit history, hijacked it, is you’re applying for credit because you’re sitting in a car dealer, ready to buy a car and they come back and say, “Your credit score’s, you know, 500.” And you go, “What? Wait a minute, I’ve got great credit. And last time I checked it, it was 800. What happened?” “Well, you have all these delinquent bills.” And so it starts. And that’s when the nightmare happens, you have to contact creditors and the credit bureaus and the police. And it just…you have to come up with proof. The burden is on you to prove that you were hacked, not on the bank to prove that you were not. Clark: Right, right. So what kinds of information generally is required for that to happen? And I think then that might be a good transition to talk about the most recent hack, the Equifax hack. I mean, there’s a lot of things like Equifax unfortunately, but that’s just the most recent one. Roger: Yeah. The three big agencies for credit monitoring are Equifax, TransUnion, and Experian. So only Equifax was hacked, but they took 143 to 149…I’ve seen the estimates that high…million identities and they got the stuff you need to open an account, they got Social Security numbers, your address, your date of birth and where you were born. And so that’s usually the things that are needed to open a credit account. There are other people who were in dispute over their credit reports. Another 209,000 people whose entire credit report were taken, and then another 182,000 folks who were in the process of having their credit check whose entire credit reports were taken. Now those folks, they’re probably gonna have problems sooner than the others because their credit numbers, their credit card numbers and account numbers were stolen. And usually, thieves will wanna run those up really fast before somebody can shut those accounts off. But for most people, just about everybody that has a credit report, their base identity information was taken. Clark: It’s really sad. It really is disappointing. Roger: Well, you know, it is disappointing. The internet was never designed to be secure when it was first created, and this is one of the…why it’s so vulnerable. And, you know, this isn’t the first major data hack. The Social Security Administration was hacked not that long ago. This is why there’s such a movement to get rid of Social Security numbers as an identification. They were not intended to be identification numbers and as a result, the system just isn’t that secure when it comes to these things. I would expect something to come along in the next few years, but right now, we’ve gotta deal with the system that’s in place and that includes protecting your Social Security number. Clark: So let’s talk about a couple ways to protect that, not just the Social Security number, but other essential things. Like, what…would you do both in response to a big outbreak like this and what should you be doing on an ongoing basis? Kind of two questions here. Roger: Well, sure. Based on the outbreak, the only way to protect yourself, and unfortunately, it’s gonna be for years to come because 143,000,000 records. You may not get hacked for years, you know. Thieves go to what’s called, “the dark web” and they buy this information. I read recently that the kind of information that was stolen from Equifax fetches between $5 and $10 on “the dark web” so people go buy thousand of these things and, you know, just start opening accounts in those records’ names. To get through 143,000,000, it’s gonna take quite a while. So the first thing to do is to freeze your account, you know. This is, unfortunately, gonna be what we’re all going to be dealing with, like I said, going forward to protect your identity. So putting a security freeze on your account and you’d need to do this at all three credit bureaus. Clark: There’s millions of people, right? Roger: Millions of people are trying to freeze and they’re all trying to freeze right now. So be patient when you hit their websites, they’re, you know, not designed to handle the influx of people that they’re experiencing now. They’re doing things to improve the volume that their websites can handle but sometimes it’s been glitchy. Sometimes, the websites are crashing and you just have to come back and it’s just the way it is. So…but be patient and do it. I’m a little nervous myself because when you do put a freeze and if you’re applying for credit, say, for a car or in my case we’re trying to get an equity line, I can’t put the freeze on right now because the underwriters have to have access to my account and it takes a few days to freeze and unfreeze. So I have to leave this off until we get a decision. I don’t know when they’re gonna, you know, look at my credit reports. So we’re ready to go but we have to finish the underwriting process and then we can put a freeze on. Clark: Right, or an “auto.” Sometimes it’s an “auto” thing too, right? Roger: Right. A lot of times we set up auto pay on these credit cards just because we don’t have time, we can’t be bothered. But if somebody’s putting charges on your accounts, the sooner you come up with that information and tell the bank and freeze your account, the less liability you’re going to have, which brings me to encouraging folks not to use their debit cards. One of the protections, when you buy stuff with a credit card goes away if you use a debit card, and that is there’s a $50 maximum liability as long as you report to the credit card companies. So in theory, the bank works the same way with your ATM card. But think about this, if you charge something or you swipe your ATM card and that identity is frozen, and somebody takes thousands of dollars out of your checking account, it’s your money that’s missing while the bank does their investigation before they determine whether you get your money back. Clark: Gotcha. I hear you. Roger: It’s your money. When you use a credit card, it’s their money. Okay. Roger: Well, it’s just another layer of protection because you’re using…the bank’s money is what’s being risked to those thieves who are stealing identities from credit terminals, at stores, and gas stations, etc. So…yeah. I’m one of those guys when I go into the gas station where they don’t…my gas station doesn’t take my credit card, it only takes the ATM card or cash. I feel all around the ATM scanner to see if they’ve put a separate device in there if it’s been altered in any way to grab the information off of my debit card, and then they’ll put a little pinhole camera. So usually today, there’s a little guard covering the keypad so your hand slides up underneath that, but sometimes some people put actually a little camera in there so that they can match the keystrokes with the magnetic information they’ve stolen by putting a “skimmer,” is what they’re called. And to all feel around underneath there or, you know, get a little closer to keypad to make sure somebody isn’t looking over my shoulder, at the numbers that I’m punching in. So it’s just a…you know, again, people call me paranoid, but this is how your identities are getting stolen, this is how people are losing money in their bank accounts. People are watching them at the ATM, people are watching them at the gas station. And, you know, putting that in…those little gizmos that are credit card readers and leaving them on for a little while and then pulling them off before anybody that owns the gas station really notices. And they’ve collected, you know, information on dozens of credit cards or debit cards. And if they can combine that with the pin, it’s not real hard to go to an ATM and start draining your accounts. Clark: Wow. How about we shift over to some of the other scams that are happening because this is just general advice, I know that you talk about but phishing scams, do you wanna go there next? Roger: Yeah, and that’s a really good point. Anytime we see a major disaster or something that catches the news, inevitably, the crooks follow in the wake and try to snag people who are naturally nervous. So I’ve seen a couple of emails pretending to be Equifax, click on this link because your account’s been compromised, you know, or we’re the IRS and you’re in trouble, your account’s been compromised. Click here to get more information or specifics or I’m getting these phone calls at home now left on my answering machine, you know. This is the IRS and you will be prosecuted. You’ve committed some heinous violation and you better call right now. So these are going up more and more and then, unfortunately, with all the natural disasters, here poor Puerto Rico today, with the hurricane and in all the Caribbean Islands, with the last few hurricanes in Florida and Houston area, and down in Texas in the Gulf. There’s tons of scams that come out of those too, from charities offering relief to contractors, and attorneys, and insurance adjusters, all kinds of service providers, you know. And they’re just reaching out and give me a small deposit or respond to this, register for your FEMA money, and then it takes $100 to register. All kinds of things like that come out of these types of big events that most people know about. And, you know, that group worry. And that’s what they’re playing on. So be very, very careful. If you get an email that looks like it’s coming from one of these types of organizations, pick up the phone and give them a call because you’ll find that it’s rare that those kinds of communications come from the IRS or Social Security or your bank. They’re usually trying to reach you in a different way. So if you initiate the call, you look up the number. Don’t call the number that they left on your answering machine because obviously, that’s their number and they’ll answer it and pretend to be the bank. Clark: That’s helpful to go through those. I know it’s no fun to talk about it, but it’s a real thing and it can keep people from their goals to retire happy and to live the life that they’re trying to live. So I think that those are some really practical tips that you’ve shared today. Do you have anything else on your mind about this? Roger: Well, yeah. There’s a couple three things. We’ve given away security pens for, God, five or six years now. Clark: That’s a pretty neat swag item, it’s not one of those cheapo pens. You’re giving away some pretty nice stuff. Roger: Well, it’s a…you know, I have clients who come in just to get a new pen. They like the way they write and they like the security that when they sign something, they know it’s really signed. Another thing I would encourage our listeners to invest in is an outstanding paper shredder. And what’s important is it’s not a strip shredder, and it’s not a crosscut shredder. Those can be reconstructed. In fact, the identity protection workshop that I went to where I learned about these pens, the guy who put on the workshop showed us how fast he can recreate a document that went through a strip shredder or even a crosscut shredder. It doesn’t take very long if you got some talent. And, you know, that’s why a lot of people do dumpster-diving…criminals…and to gather information like that. We here at Gainer Financial, we use a…it’s called a “confetti shredder” and it turns paper into dust. Roger: There is no way that any of our client’s information or our personal information is getting recreated into a document. Invest in a good shredder. You won’t be sorry. Clark: And a not cheapo pen. Clark: Come talk to you to get the pen. Roger: Yeah. Hey, when you come in for a consultation, we’ll be happy to give you a pen. They come in both blue and black. Clark: Well, I think that’s probably a good place to start wrapping up. And for someone who is wanting to come and meet with you and learn more about you, there is a first step they can take. You wanna talk a little about the idea? Roger: Yes, the Thought Organizer. Well, I find the single biggest step to gaining control over your financial life and peace of mind is to organize your thoughts about why are you even saving money, what’s it for, what do you want your life to look like. Once you create that context, decision-making becomes so much easier. Use the Thought Organizer. Clark: Roger, thank you so much. It’s been another great conversation with you. I always look forward to these. And I am excited about when we can get together again soon. Roger: All right, Clark. Always a pleasure. Take care. Clark: Thanks so much for listening to this episode of Retire Happy. Be sure to head on over to gainerfinancial.com to download your Thought Organizer to get started. Roger L. Gainer, ChFC, California Insurance license number 0754849 is licensed to sell insurance and annuity products in California, Illinois, Arizona, Pennsylvania, and New York. Roger L. Gainer is an investment advisor representative providing advisory services through HFIS, Inc., a registered investment advisor. Gainer Financial and Insurance Services, Inc. is not owned or affiliated with HFIS, Inc. and operates independently. Thanks again so much and we’ll see you next time on Retire Happy. What Do The California Wildfires Have to Do With Risk Management? https://gainerfinancial.com/wp-content/uploads/2017/10/taking-risk.jpg 3264 4896 Roger Gainer http://gainerfinancial.com/wp-content/uploads/2016/07/Gainer-Financial-Logo.jpg Roger Gainer2017-10-23 17:15:382017-10-23 22:03:13What Do The California Wildfires Have to Do With Risk Management? The following is the transcript from Episode 7 of Retire Happy with Roger Gainer, a financial and business audio podcast. Roger: When we’re deciding about tools, emotion has to be part of the planning process because we’re people. But when it comes to making these kinds of decisions, what tools do I use to build my retirement house, we want to keep the emotion out of that. Clark: You’re listening to “Retire Happy” with Roger Gainer, president of Gainer Financial and Insurance Services, Inc. This is episode seven, “Deferred Annuities.” Thanks for joining us. I’m your host Clark Butner. We’re continuing the conversation all about annuities and are about to take an even deeper look into this topic. You’re about to hear the full conversation, but for more content like this, be sure to visit gainerfinancial.com. Let’s begin. Roger: Hi, Clark, welcome back. Roger: Yeah, so am I. We’re gonna dig a little deeper into the very meaty topic of annuities in this post. Today we’re gonna talk about deferred annuities. In our last podcast we discussed income annuity SPIAs, S-P-I-As, and deferred income annuities. But today this is an even bigger category called deferred annuities. And basically what a deferred annuity is, is an annuity, under tax code at least, where you’re gonna delay your income. See, in the IRS code, annuities are income-producing tools. And in a deferred annuity what we’re doing is we’re deferring the beginning of payments. So, while we’re in deferral, you earn interest that is being earned tax deferred, much the same as in an IRA. Frankly it’s one of the reasons I fund my personal IRAs with annuities. I know there’s an awful lot of people out there that say, “Why would I pay for additional tax deferral?” thinking that there’s a cost associated with tax deferral. Tax deferral comes from the Internal Revenue Service, not from an insurance company or a mutual fund company. Tax deferral is based on the internal revenue code, and there is no cost to it. So that’s one of the reasons I personally like, in my own annuities, in my own IRAs, excuse me, to fund them with annuities. Because frankly I don’t have to spend the kind of time maintaining them that I would otherwise. So these deferred annuities, deferring the first payment usually until you’re 90, 95, or 100 years of age. And then the way most of them work is you can have a single payment be your income stream. In other words, I can withdraw all of my money. Some of them require you to take a 5-installment payout, and there’s a few, very, very few these days that require at least a 10-year payout. And again those are pretty good tools in IRAs. I have that type in one of my IRAs. So, under this broad umbrella of deferred annuities, there are three main sub-types. One is the variable annuity. A variable annuity, I’m gonna talk about in greater depth in just a minute. The other two are variations of fixed annuities. And the fixed annuity works a lot like a CD. You get a guarantee of your principal, you earn interest based on a declared rate. And then we have another variation called a fixed index annuity, which has the same guarantee of principle, but instead of a declared interest rate, you earn interest based on the movement of a market index. So you’re not directly participating in the market in a fixed index annuity, but you’re earning interest based on the movement of a market index. We’ll get to that in much, much greater detail in a future podcast. But I want to circle back around to the variable annuity, because that’s the one that seems to engender the most passion and the most misunderstanding. Because variable annuities are, without a doubt, the most complex variation of an annuity you can buy. Variable annuities are sold by prospectus, much the same as a mutual fund would be, and that prospectus can be awfully thick. I ask people who I meet that own these things, and I say, “Do you get a prospectus every year?” Because I know that the insurance company’s required to send out a prospectus. And then I ask, “Do you ever read it?” And the answer is, “No, I just throw it in the recycling.” At least I hope they’re recycling. They usually say trash. You know, it’s the same question from your mutual funds. If you own a mutual fund you’re gonna get a prospectus update beginning of every year, and I ask the same question and most people are recycling those as well. So when we look at a variable annuity, much like with mutual funds, costs and options can vary widely. So, a variable annuity has inside it something called sub-accounts. And a sub-account is virtually a mutual fund, but because it’s in a variable annuity, it’s called a sub-account. In fact you can…most of these are managed by the same people that manage mutual funds of similar names. So if you’re in a fidelity growth and income fund, you’ll find a variable sub-account of a fidelity growth and income fund in many variable annuities. So, you get to select from a menu of these sub-accounts. Some annuities have as few as 10 or 15 choices, and I’ve seen them with as many as 200 choices. I’ve even seen some variable annuities where you can pick your own money manager, or even use a hedge fund as your manager inside them. They have a wide variety of cost structures as well. And this is where a lot of people get messed up. There’s, with most of these, a menu of different options, and each option costs a certain amount of money. So the first charge that you should know about is called an M&E, or mortality and expense, charge. With most variable annuities that charge will run anywhere from a half a percent up to 1 and a half or one and three quarter percent, with most of them falling between 1 and 1 and half percent mortality and expense charge. So that’s a pretty big hurdle. What that charge does is it guarantees your principal, not your earnings, but it guarantees that if you die your heirs will at least get what you put into the contract. You can decide what the value of that guarantee is in your particular situation. For some people it can be very valuable, and in some contracts if you do have a gain you can increase that guarantee. There’s a step-up feature. But it’s very important that you understand the options within that variable annuity. Another feature that many of these have are what we call a living benefit. That would be something like an income for life. So what that is, is a…they’re referred to as either a guaranteed minimum withdrawal benefit or a guaranteed lifetime income benefit. And again, you pay a fee for those. That fee can be as little as 1%, or as much as 2 and a half percent. I reviewed one recently for a client that was at 2.55% on top of the 1.15% in the M&E charge that I mentioned before. So now we’re starting to see that it can get awfully pricey, because you add those two together and you’re at 3 and three quarter percent. Given that you’ve got to earn more than that to have a positive gain in your contract, you’re stressing those investments trying to get there. Finally, the different sub-accounts, just like with a mutual fund, the money managers. Nobody does this work for free, Clark. And, and the money managers, whether they’re from Vanguard or American Funds or JP Morgan, those managers are also charging a fee. In the contract I mentioned that I was reviewing for a client who had bought this somewhere else, that average charge for their sub-accounts was another 1%. So when you added all that up, they had earned 4 and three quarter percent a year just to stay even. Pretty expensive stuff. And so if you’re gonna pay those kinds of fees, which generally run, like I said before, from 1 and a half up to 5%, you better be getting some value for that money. So that’s why it’s really important today to study that prospectus and make whoever you’re working with, whether it’s directly with the company or with an adviser, make them explain the costs, fees, and the other options available with that contract. Make sure that you’re getting value for your money. It’s not to say that these are good or bad, but we sure hate spending that kind of money in fees if you’re not getting bang for your buck. Does that make sense? Clark: Right. So you’re saying these accounts, they can have dozens, if not in the hundreds of these sub-categories. So is that actually [SP] right? Clark: So how do you navigate dozens and hundreds of options? Because it is dense stuff. How do you know what’s right for you? Roger: Well, that’s really a great question. How do you know if it’s right for you? Well, this is one of the reasons it can be very, very valuable to work with a financial adviser who can help you analyze whether a tool like this is to your benefit. But what I really want to impress upon people, whether you’re working with an adviser or on your own, make sure you ask a lot of questions about the cost and about benefits. Because if you don’t like the answers you’re getting, then say, “Look, let me look at a different alternative.” It can be a different variable annuity, it can be a whole different type of asset class. And that’s what I want people to understand. And the adviser there I don’t think fully explained to this particular client what they were buying. Because upon my analysis of this, when we were doing our initial review, this was actually the contract I was referring to with the 4 and three quarters percent cost annually, and they really did not understand that. But they are going to be able to create off of $250,000 deposit over $1,000 a month in lifetime income, which, again, will be guaranteed as long as they live. In this particular instance it’s 100% guaranteed for either one of them, so the surviving spouse will continue those payments. So, in this particular case it’s arguable as to whether or not the cost was worth the benefit, but at least they are paying for something that they plan on using. So, this client plans on using the income feature, and even in years that the market goes down they’re getting a 5 and a half percent increase to their income value. So at least that’s growing each year they wait. But those income values can get a little confusing for the general public. That’s not real money, it’s just an account that’s used to calculate your lifetime income. And, again, we’ll dig more into that in a future session when we’re dealing with fixed annuities. Because really, for most people that’s a better place to look if you want this type of income living benefit from your annuity and the flexibility that that creates. So, in short, a variable annuity is a wrapper that goes around mutual fund-like accounts. It gives the variable options to manage your investments based on what you feel the market conditions are currently and are anticipated to be. You can switch between those sub-accounts and not pay any taxes. To many people that’s a tremendous advantage that if you want to do asset allocation. So, somebody that’s doing a lot of swaps and trades between different mutual funds might find that to be an attractive feature of a variable annuity. So, to summarize, the pro side of owning a variable annuity are these professionally managed sub-accounts. Same reason you buy mutual funds. The professional management, somebody concentrating on a specific management style or asset class. Certainly they can put in a lot more time and expertise than you or I that are, you know, doing other things with our time than analyzing the specific securities. You get a guaranteed death benefit, equal to at least the original investment amount. So that’s another positive from this type of an account. You can get a wide variety of investment options. As I mentioned earlier, you can even have hedge funds. There’s a couple of companies that’ll let you pick your own hedge fund and put that in this wrapper. There’s an availability of guaranteed lifetime income. Besides those income riders, any of these accounts can be what’s called annuitized, which means turned into a SPIA at any point after a certain holding period. It’s usually from one to five years. After that you can annuitize. And you can get tax deferral if it’s non-qualified. So in other words, if it’s not in an IRA, you don’t pay taxes when you swap, or the interest you earn or the capital gains that are distributed from these sub-accounts, no taxation. I think of it as taxed as spent. So in other words, when you take the money out to spend it, that’s when you’re gonna pay income tax on it. And then finally, unlike a CD where you have penalty for early withdrawal, and if you touch any part of it you’re gonna pay that penalty, here we have surrender charges. And we’re gonna talk about surrender charges more in our next episode. But you can in most of these take 10% surrender charge-free access to your principal in the account. So there is an element of liquidity. Yes, you have a period of years, in variable annuities it’s anywhere from 5 to 10 years, with surrender charges if you cash the whole thing in, but here you can still access some of your money during that period of time. What are the cons? What are the down sides of a variable annuity? You’re restricted as to which sub-accounts can be used based on the sponsor of that annuity, and what they’ve decided will be the investment options and opportunities within that account. So you don’t get to pick anything, unless, of course, the insurance company says, “Well, this is one that we’re gonna charge you a fee to pick whatever you want.” And there are a couple of those out there, but for the most part they’re selecting which sub-accounts can be used. In fact, they might even restrict it further if you have one of those guaranteed income or guaranteed lifetime withdrawal benefits, the insurance company may restrict you to less volatile investments. And for good reason, because if the account’s down 30% but you can still pull lifetime income off the amount that was 30% higher, obviously that’s gonna cost the insurance company a little something. So they try to restrict the volatility if you’re gonna add one of those. The expenses can be relatively high. I just talked about a contract that’s paying 4 and three quarter percent. They’re not all that high. That’s why it’s very important to read the prospectus and to ask questions. Clark: Don’t recycle it or don’t trash it. Keep it. Roger: And you see, you might think, “Well , you know, I read it when I bought it. I don’t need to glance at this thing at all.” But they’re allowed to charge, to change the fees, and it’s important to know that. Now, some of these have bail-outs. If the fees go up a certain percent they’ll waive the surrender charges and you can leave. So, again, knowing what your options are, very important. They can be very complex. Some of these options are hard to understand. They’re hard to understand for me. I keep referring back to this particular client, but it took me quite a while and several readings to understand the income rider on that variable annuity, and I do this every day. I can only imagine how hard it would be for somebody whose never read one of these things to figure out what exactly this particular company meant. And it’s one of the major companies and one of the major sponsors of variable annuities. And then, of course, surrender charges. The fact is that you can’t just cash the whole thing in. Of course that’s true for a lot of mutual funds as well, but still it’s something always to keep in the back of your mind. So, I know that’s quite a bit to throw out there in a very short period of time, so I do want to make an offer that if you own one of these things or you have questions or you’re considering owning one of these things, feel free to give us a call here, 415-331-9030, and my staff will set up a time to get your questions answered. You know, don’t throw the baby out with the bath water. These can be a powerful tool in the right hands. I think of it kind of like nitroglycerin. You’ve heard of that, right? Roger: Well, you know, in the wrong hands nitroglycerin is very volatile and can explode and do a lot of damage. But in the right hands, it can be a very, very powerful tool that can have controlled explosions and help you with construction or moving things out of the way. So, like anything else, make sure you’re working with tools in a safe and proper manner. I’d say that’s the best way to put it. Clark: Yes. Well, Roger, thank you so much again. I know someone can call you, you’re always available to help out. Something else that someone can do, of course, is the thought organizer. So that is just a quick thing they can fill out, help them understand where they’re at, what their goals are, and then it helps them best prepare to have a conversation with you, and so you can best understand where they’re at and where they’re going to go. Clark: And that can be found on the website. Same place this podcast is and the blogs and all the other resources. So, Roger, thanks so much. I know this can be quite the lightning rod dialogue around deferred annuities, especially the variable annuities. So I really appreciate you cutting through some of the noise and some of the emotion that other people have. Because I know, for you, you remove emotion and you remove those types of feelings. It’s all factual based. Roger: When we’re deciding about tools, yes. Emotion has to be part of the planning process because we’re people. But when it comes to making these kinds of decisions, what tools do I use to build my retirement house, yeah, we want to keep the emotion out of it. Clark: Excellent. Well, thank you so much, I appreciate it. Roger. All right, you take care. Podcast: What Are the Three Main Types of Annuities? The following is the transcript from Episode 6 of Retire Happy with Roger Gainer, a financial and business audio podcast. Roger: So the first thing I want people to understand whether it’s annuities, or bonds, or stocks, or real estate, or any asset class, is figure out whatever you trying to do. What keeps me up at night and what helps me to sleep better at night? That’s really what it’s all about. Why do you save and build wealth so that you can be uncomfortable? So you can be nervous? So you can be stressed out? I don’t think so. I think most people are saving money so that they can have a peace of mind and options in their life. If these tools will help to provide that I say why not use them? Clark: You’re listening to Retire Happy with Roger Gainer. President of Gainer Financial and Insurance Services Inc. This is episode six, the two main types of annuities. Thank so much for joining us. I’m your host, Clark Buckner. Today, we’re talking all about the different kinds of annuities including what is often seen as the two main types. You’re about to hear the full conversation, but for more content like this, be sure to visit gainerfinancial.com. Let’s begin. Roger: Hi Clark. How are you doing today? Clark: I’m doing really well. I am super excited to revisit this topic with you. There’s been a lot of good feedback and this is always so much fun. Roger: I’m glad you’re having a good time. I know I’m certainly am. This is a topic that we’re gonna talk about today. We touched on it in our last podcast and it’s beyond me why the topic of annuities creates so much passion. So many opinions that are not fact-based. In fact, I see articles and advertisements that really attacked this asset class in a way that just doesn’t make any sense. I think I might have mentioned before, there’s an advertiser who uses banner headlines like “Beware of Annuities” or “I hate annuities and you should too.” A couple of weeks ago at markwatch.com I even saw a banner ad for the same company that said, “Why I would die and go to hell before I would sell an annuity?” Now, I have no idea why somebody who’s supposed to be a professional adviser would have that kind of emotion around an asset class. Really, that’s all we’re talking about. It’s like saying, “I hate all stocks” or “Don’t ever buy real estate because it’s a complete rip off.” “You have to be disgusting to own a bond.” It just doesn’t make any sense. That’s why in our process, we’re always trying to figure out what is the client’s attitude and what are you trying to accomplish? Then we go out and figure out what tools, but if we eliminate a tool and it’s the perfect solution, who does that benefit? It doesn’t benefit anybody. I suppose it benefits a guy like I just mentioned who’s really trying to sell investment management services. I suppose it would benefit him or his company, but it wouldn’t necessarily benefit the investor or the client. I kinda think of a person like that or a group like that as, just imagine if the only tool you owned was a hammer, and if the only tool you owned was a hammer, everything would suddenly start looking like a nail. You know what I mean, Clark? Clark: Yes. That is right on point. Roger: I’ve sent away to that company for their report and a couple of occasions over the years, they keep updating the same report its filled with inaccuracies, innuendo and inferences that try to paint this broad-brush picture that all annuities are bad. They even make a claim that says, “If you have a half a million dollars in an annuity, we’ll pay your surrender charges as long as you move the money over.” And then way down deep in their fine print they explained that guarantee. They say as long as you stay with us for five years and what they’re going to do is discount their management fee for managing your assets. Now, I ran into their disclosure document and their management fee is about double what I charge for the same service. So it’s pretty easy to discount if you’re overcharging in the first place. It’s kinda like when the grocery store says 2 for 1, but they raise the price by 50% ahead of time. When you don’t have any licenses in the financial world like the person I previously mentioned, you can get away with saying pretty much anything. You can’t say that in a grocery store by the way. You can’t raise those prices just to pretend that you’re putting something on sale. They have laws against that sort of thing, but unfortunately, when you’re under the over side of a regulator you can pretty much say whatever you want. So when we look at annuities, I just want people to understand that they’re financial tools. They’re not appropriate for everybody and for certain people, they’re absolutely the best decision you could possibly make in the best alternative for certain situations. So the first thing I want people to understand whether it’s annuities, or bonds, or stocks or real estate, or any asset class and they’re so many today, is figure out whatever you’re trying to do. What am I trying to do and what makes me comfortable? What keeps me up at night? What helps me to sleep better at night? After all, your money should help you sleep better at night. I think I’ve said that more than one time and I probably say it a hundreds more because that’s really what it’s all about. Why do you save and build wealth so that you can be uncomfortable? So you can be nervous? So you can be stressed out? I don’t think so. I think most people are saving money so that they can have peace of mind and options in their lives. So if these tools will help to provide that, I say why not use them? So Clark, let’s dig into just an overview in this session, I wanna give people an overview of the different kinds of annuities. Get use to what the different categories and then in the next few podcast I think we’ll drill down into different types a little bit more deeply so people could at least understand what the pros and the cons of these different tools are. And then maybe while you’re pondering your own circumstance, it’ll help you to determine if it’s worth investigating these tools further for your particular situation. Does that sound fair enough? Clark: I love that. Earlier you’re saying that when you have an industry that is maybe not as easy to regulate as you could maybe a grocery store. There is a lot of noise and so I know something that you are passionate about as trying to cut through the noise and make things simple to understand. So I think it’s a great place to launch into the different kinds of annuities. I guess the first question I’m curious to hear is, how many different types are there? Roger: They come in a lot of flavors just like ice cream, I suppose. But there’s two main types of annuities and those are single premium immediate annuities or sometimes they’re referred to as income annuities, SPIAs is how they’re referred to in the industry. And then there’s deferred annuities, the deferred annuities are annuities that you earn interest on, but you don’t pay taxes until you withdraw the money from the annuity wrapper. And we’ll dig into those more in future podcast. Today, we’re gonna talk a little bit about the S-P-I-A or SPIA as an income producer. So what these contracts are designed to do, you give an insurance company a sum of money and they return to you a stream of payments. Now, those payments can be for a specific number of years 10, 15, 20 years, or it can be for a lifetime. And that’s really what the beauty is. When I sit down and help somebody plan a retirement, if they have a pension that’s a tremendous advantage to them and it makes our job certainly much, much easier because what is a pension? A pension’s just an income annuity. It’s a series of payments that’s guaranteed to last for your lifetime. If you don’t have something like that to build your retirement security around, an income annuity might just be a great alternative because even some employers who have pension plans when an employee retires, they’ll take a chunk of money out of that pension plan and they’ll go to an insurance company and say, “Hey, we wanna buy an income annuity for this employee and we want you to guarantee those payments.” Because that way, they’re relieved of that responsibility so they really hand and glove. There’s also another subtype called the deferred income annuity or DIA, and this is the other type of income annuity. We touched on this in our last podcast. This is an annuity where…here’s an example I recently quoted for a client, at age 65 they can put aside a $100,000 to the insurance company. What they’re essentially doing is they’re buying future income guaranteed insurance. This allows them to be a bit more aggressive with their other investments because at 65, they can spend all of their other assets before they turn 85. That $100,000 at age 85 will guarantee them $44,000 a year in annual income for the rest of their lives. And so if I’m investing a bit more aggressively or maybe spending a bit more aggressively early in retirement which a lot of people frankly want to do, you’re younger, you’re healthy, you can go hike the Machu Picchu trail or walk through the Via Dolorosa in the old city of Jerusalem. When you get older and maybe not as mobile, you’re not gonna be able to do as much of that sort of thing. So people tend to like to front-load their retirement. Well, a DIA might just be the ticket for somebody like that because then they can spend more money without the fear of “Oh my goodness, if I spend too much now, I’m just may not have it later for those final 15 or 20 years of my life.” This spies an income insurance so no matter what happens with those investments, no matter how much I overspend, I know that I’m not gonna be out in the street 20 years down the road. Either way that income annuity provides that lifetime assurance at whatever age you buy it. Generally, you’re not gonna buy one of these when you’re 40 years old or 50 years old because frankly the payouts aren’t all that spectacular, but I have a client just this week. He’s in his mid 70’s and healthy as a horse and his wife is extremely healthy and so he decided I’m gonna take a chunk of my money and buy a lifetime income. His payout for he and his wife is gonna be about 10 1/2%. So what that boils down to he’s gonna put up $40,000 and he’s gonna get back about $41,000 a year starting immediately for the rest of his life. That’s a pretty good deal. Clark: Well, that happened immediately? $40,000 then started gaining $41,000? Roger: Yep, he’s gonna get $41,000 a year until he dies after putting up $400,000. Clark: Oh, got it. Four hundred thousand. Roger: $400,000. So he exchanged $400,000 for this $41,000 a year income stream. Now, the rest of his money he’s managing in a variety of stocks and bonds, but in his situation he was concerned about the markets. He had taken a bunch of money out of the markets and he wanted to be sure that he and his wife would be able to stay in the retirement community they move to no matter what happened to those market-based investments. And that was his decision. So when we look at the immediate annuity, one of the big objections people have is if I keep that money to the insurance company, I’m gonna hit by a bus the next day. Clark: The fear I bet a lot of people feel. Roger: Yes indeed. And so, you know, if you talk to him in a normal conversation without discussing annuities, they would be optimistic generally speaking, thinking they’re gonna live in to their 80s or 90s and that’s why I eat well, and work out, and do all of those things. They’re good for me,but I just know if I’m gonna put this money in with an insurance company, I’m gonna get hit by a bus tomorrow and then what happens to my stream of payments? And of course if you have a basic life annuity, that stream of payment ends. Some would say, “Well, look the insurance company wins.” The insurance company wants you to live as long as you possibly can because that’s how it works. They have a big pool of people and some are gonna live longer and some are gonna live shorter and it balances it all out. The insurance company isn’t rooting against you, believe me. What they are doing is they’re managing risk and that’s how this fits in to a financial plan. Now, because of that if you might recall I mentioned earlier that you can buy a specific period of time, 10 years, 15 years, 20 years. You can combine those two concepts and buy what’s called a life with period certain. All that means is my payments are going to continue for as long as I live or 10 years whichever last longer. You create a minimum guarantee sometimes we have what’s called a guaranteed total annuity which means if I put up a $100,000 I’m gonna get my income stream. If I die too soon, my designated beneficiary’s gonna get back the balance of my deposit that I didn’t pull. That way if I come up short in terms of years, well, at least I have the knowledge that somebody is going to get the rest of the money I put up. And of course if I go long and I go past my life expectancy, the payments continue. That really is a unique option that only a life insurance company can reasonably offer. Clark: Right, and last time we were talking about the dependency and the reliability of insurance companies as compared to banks. Previous episode digs more to that so for some of the time we have left today, you’re mentioning some of the other classes. Before we get to that, is there anything else you want to touch on with annuities? Roger: Well, within income annuities I wanna just get through and give you a summary of the pros and the cons of these income annuities. Roger: So with income annuities you get a high reliable income that you can depend on regardless of market conditions. Interest rates go up, interest rates go down, the stock market goes into tank and drops 60% you still get your income. Doesn’t matter what’s happening out there. It can cover you for a lifetime even if you ran out of money you can still have income. An income is the key to retirement security. You can also cover two lives. The clients I mentioned earlier his covering his life and his wife’s life. So whoever outlives the other one is gonna get 50%, but we can put a guarantee of 75% or even a 100% to their surviving spouse. We can add guarantees in case of an early death like I just mentioned. We can have that guarantee total annuity or period of years, or period certain. You can advantageous tax treatment for non-qualified or a non IRA situation. The client I mentioned before is buying a non-qualified annuity. What that means is 95% of each years income is tax-free. It’s considered a return of premiums. So they’re fairly unique tax treatment to an income annuity that’s not in an IRA. So that means that of that $41,000 a year that this client’s going to receive, $39,000 of that or $38,000 of that is gonna be tax-free until he hits life expectancy. Once that happens then of course it does become because you would’ve been returned all of your initial deposit then the entire payment becomes taxable. Of course the guarantees, the guarantees are probably the single biggest thing. Now, what are the cons to this? What are the downsides to an income annuity? Well, once the incomes begun you can’t stop it. There are a few that will let you stop and pull a chunk of money out, but usually that comes at a very high cost so I would prefer a different strategy. That’s why you would never put all of your money into this strategy. You can’t change your mind after you receive your first payment. You can’t say, “You know, I would’ve liked to not have that survival benefit. I don’t want that 10-year guarantee.” It’s too bad you made a decision as soon as the first payment occurs, usually it’s 30 days after you make your deposit, you can’t change your mind. If you use fixed payments here it’s another issue that sometimes can come up. You get that $41,000 this year, well, 10 years from now because of inflation it’s not gonna be worth as much. It’s not gonna buy as much. So you might lose some purchasing power due to inflation, and again, some companies will allow you to have an increasing payout based on the consumer price index or a fix percentage increase. Then of course if the markets do soar, you’re not gonna be able to use this money to invest in the market. So those are the downsides, but if you’re looking for guaranteed lifetime income you can’t outlive, this is one of the best solutions you’re gonna find. That’s kinda the summary of the pros and cons of an income annuity. In the next few sessions we’re going to discuss what is a deferred annuity and what are the different kinds of deferred annuities. We’re gonna drill down into each one of them. What’s a variable annuity? What’s a fixed annuity? And we’re gonna wrap up with something called a fixed index annuity. What is that? Lot of conversation about it, interesting asset class, and again, a tremendous amount of emotion. So, hopefully, you’ll tune in for some of those future podcast and we can drill down even deeper into this topic. Clark: Excellent. Just like you’re saying earlier, these are different tools and it all comes down to what an individual needs. It’s a not one size fits all and so a natural connection to that line of thinking is the thought organizer that you and your team provides. So do you wanna explain this…what the thought organizer is and how it can help someone navigate all of these different tools and help them pick the options that’s best for them. Roger: Well, the thought organizer is really a tool that we start out with every client engagement. Every new client goes through thaecompleting a thought organizer and what that’s designed to do is to help you clarify your thinking about your personal situation. What am I trying to accomplish? What makes me comfortable? What makes me uncomfortable? What would I be doing different if I could have a do-over? And really get in touch with your situation plus what are your feelings about money? What kinds of things keep me up at night? So to see if your thinking is consistent and you can create that context for better decision making. That’s what really the thought organizer’s all about. Clark: Excellent. So we can get there free thought organizer just on your website. Roger: Right on the website. When you went to listen to this podcast or to read my blog, there’s a little pop-up that you can download it from. I hope people take advantage to that option and that opportunity. Clark: And then they get to talk to you and they get to hear all the knowledge from Roger Gainer. Clark: I love it. All right, I will be looking forward to this next conversation. I appreciate your time as always. Clark: Thanks so much for listening to this episode of Retire Happy. Be sure to head on over to gainerfinancial.com to download your thought organizer to get started. Roger L Gainer, CHFC, California Insurance license number 0754849 is licensed to sell insurance and annuity products in California, Illinois, Arizona, Pennsylvania, and New York. Roger L Gainer is an investment adviser representative providing advisory services through HFIS Inc. a registered investment adviser. Gainer Financial and Insurance Services Inc. is not owned or affiliated with HFIS Inc. and operates independently. https://gainerfinancial.com/wp-content/uploads/2017/01/RETIRE-HAPPY.png 565 845 Roger Gainer http://gainerfinancial.com/wp-content/uploads/2016/07/Gainer-Financial-Logo.jpg Roger Gainer2017-08-10 05:00:072018-04-30 21:18:46Podcast: What Are the Three Main Types of Annuities? The following is the transcript from Episode 5 of Retire Happy with Roger Gainer, a financial and business audio podcast. Roger: A lot of people, and this is becoming more and more prevalent. A lot of people will spend more of their lifetime in retirement than they ever did working. Most people work 30, 35, 40 years, sometimes longer, but if you live to 95 or 100, and you retire at 60, and you started work at 25, well, you’re spending more time in retirement than you are in your working life. Clark: You’re listening to Retire Happy with Roger Gainer, President of Gainer Financial & Insurance Services, Inc. That clip you just heard a moment ago, as a regular retire happy listener, you might have recognized that phrase before. And I want to include that, because it’s more relevant than ever with this episode coming up. The topic is Annuities. Pros, cons, all things you need to know, and in typical Roger Gainer fashion, he shares stories and easy to understand examples of how all this works, including the variety of annuities and how this tool and these set of options is available to you in your tool belt as you’re looking at the future to retire happy. Thanks for joining us, I’m your host, Clark Buckner. Something interesting about this topic is, some people have so much energy, and so much emotion around annuities, and we’re gonna jump straight into him talking about that, and in the conversation about annuities. Let’s begin. Roger: And I really try to take opinion out of the work that I do. I try to rely on facts, math, and science when we make recommendations, and craft financial plans. So, what amazes me is how much emotion, yes…people have tremendous emotion around this topic for some unknown reason. Annuities are just a tool like mutual funds, stocks, real estate, bonds, etc. And if you look at all of those asset classes, you’ll find that there’s good and bad in everything. What’s important is figuring out if the tools fit what you’re trying to accomplish. Does that make sense? Clark: Right. Where do you think all of that emotion comes from when other people talk about annuities? Roger: If you look over the performance in the stock market of the last 15, 18 years, there’s been a tremendous amount of volatility. There’s really good times to be in the stock market, and there’s been some really horrendous times to be in the stock market. And inevitably, when we see corrections, particularly the correction back in ’07, ’08 and early ’09, there was a tremendous flight to safety. And a lot of investors particularly middle aged, and preimposed retired investors had just had it with market volatility. So, they were looking for reasonable returns, and guarantees. And a lot of money started moving in that direction towards annuities, towards guarantees, and reasonable returns instead of the greed, you know, and the outsize returns that people get excited about in the stock market. And Wall Street, I believe, just needed to do something to stem the time. So, bad mouthing annuities, you know, bad mouthing your competitors, an old trick in competition. I don’t believe in doing that, I don’t believe that there is good and bad in these tools, there’s just tools that are appropriate, and tools that aren’t appropriate to create a solution for a client. Clark: When you say annuities, they are more tools, or options to tools, they’re financial tools. Before we talk about the different kinds, and some of the pros and the cons, can you describe really what annuities are, and what kind of tool they are? Roger: Sure. Annuities in their purest form are a series of payments. So, if you take your social security, or if you have a pension, that’s essentially an annuity. In fact, a lot of companies that offer pension plans will buy an annuity when one of their employees retires, and that way they transfer the risk of those payments going for a lifetime to an insurance company. And the insurance company guarantees that you can’t outlive your payments. So, what an annuity is, is a series of payments guaranteed for a period of time, and that period of time can be as long as your lifetime. That’s really where a lot of the power exists in these tools, is that lifetime capability. So, annuities began a long, long time ago, and you simply, you gave a chunk of capital to an insurance company, and in return you got a series of payments. Originally it was a series of payments for lifetime, and then other guaranteed options were introduced over the decades. Most prominently, guaranteed fixed periods. So, you can buy an annuity that will run 10 years, 15 years, 20 years, or you can combine those guarantees, and say, “I want a lifetime annuity, but I wanna make sure that in case I die right away, that my heirs get some money.” So, you might add a guaranteed life annuity, or 10 year, whichever is greater. And that’s actually very popular with a lot of folks, and there’s, you know, it makes good sense. But what it does, is it gives you income that you just can’t outlive. So, for many people that creates some peace of mind knowing that, you know, a check is coming in every month to pay the bills. So, that’s the original type of annuity. Over the years, there’s a second main category of annuities called deferred annuities. And deferred annuities are simply annuities where we defer the first payment. And you can take as few payments as a single payment, in other words, after a period of time you can withdraw your money. So, in those, there’s always an annuity maturity date, and that’s the age which you do need to create income in the future. With most annuities that can be 95, or 100, and even today, there’s some that go beyond that. So, in other words, you can defer your payments, and let your money grow, and the money grows tax deferred in those accounts. So, you don’t pay tax on the interest you earn until you remove it from the annuity to spend. So, I call that annuities are taxed as spent. There’s not a lot of assets that are tax as spend. IRAs kinda have that same characteristic. Clark: All right. Can they grow differently in that…a matter of time, does it depend on how much money you put in? How do you create it, I guess, is what I’m curious about? How do you create it, and what could influence the way it grows, and how much it grows? Roger: Well, sure. Deferred annuities come in a variety of time frames. So, what I mean by that is, they all have surrender charges. If you’ve ever bought a CD, a bank has a penalty for early withdrawal, and surrender charges are much the same. And the reason for that, it actually allows the insurance company to give you a higher rate of return, because they know your money is going to be there for a period of time. If you think about a savings account, it usually doesn’t pay as high an interest as you can get with a CD, because in a CD you’ve made a time commitment. And with an annuity, the longer the time commitment, generally speaking, the greater the earning potential. So, there’s annuities as short as three years, and as long as 15, or 14 years of surrender charges. So, what that allows the insurance company to do is to hedge with confidence your money, because your money is guaranteed in an annuity by the insurance company. So, the longer the commitment, the greater the earning potential, and the better the guarantees the insurance company can offer. Clark: And are you putting down a certain amount of money at the beginning…if a certain amount of money you put in, how will that influence it’s growth? Roger: Well, some annuities have tiers, so if you put in a large amount of money they’ll give you a higher interest rate as a reward, if you will. But there are annuities that you can fund with as little as $1,000, and there’s others that won’t take anything less than $25,000, or $50,000. And it really depends on the company, and the design of the specific contract. Roger: Is immediate income annuity, they’re called SPIAs in the industry S-P-I-A, and that stands for “Single Premium Immediate Annuity”. And that is what I was talking, that’s what annuities originally were, and you can buy them…buy an income string that starts today, or you can buy an income string that starts in the future. Those are called “deferred income annuity,” and sometimes they’re called portfolio insurance. And in the planning process, those deferred income annuities, excuse me, DIAs allow you to be a bit more aggressive in consuming your assets early in retirement. So, what an investor will do is, I’ve got a portfolio, stocks and bonds, real estate, whatever, but I wanna make sure that I won’t run out of money. So, maybe at age 60, I’ll put a sum of money into one of these accounts that says, “All right. At 85, I want income”. And what’s really incredible if you do that 25 years in advance, $50,000 deposit can create an income for the rest of your life of $30,000, $40,000. That’s pretty impressive. And so, if I say got a million dollar portfolio, and stocks and bonds, and I retire, you know, in my 60s, I wanna go on trips and travel, buy, upgrade my house, whatever it is, but I worry on the back-end, if I spend too much money now I might run out. So, this allows us to be a bit more aggressive with both our investment decisions as well as our spending decisions, because I’ve got this insurance that will kick in, you know, a few years down the road in case I run out of money, and it’s a supplement. Clark: Right. So, you used an example, $50,000 that you’ve put in, and you said age 60, and then you say you would want to take that money out at age 85. And so, what was the $30,000 to $40,000, how does that fit in, you said? Roger: Okay. You put up $50,000 at age 60, and at age 85, you say, okay, I want to initiate the income, and now you get, you know, $30,000 or $40,000 in lifetime income. So, if you live to 110, that income continues to come. Roger: But that’s gonna occur every single year. So, you’ll get $30,000 at 85, and $30,000 at…86, 87, 88, 89, 90. It’s so that you have income at the end of your life. It’s not that you’re gonna put in $50,000 and get $40,000 back. That would kinda be pointless, wouldn’t it? Clark: Okay. All right. I was wondering. Roger? Roger: Income annuities…again, people, you know, for the most part are familiar with CDs, stocks, mutual funds, and you put money in, and you wait, you come back later, and you hope it grows. And that’s how we think of these financial tools, and in light of an investment, but this is more strategic. And again, what people have to realize is the job changes when you retire. This will be the subject of another podcast, but I’ve written about this, that what we want when we’re working is we want our money to grow. We wanna build wealth. But after we stop working, we need income. So, there’s only two ways to create income. You at work, or money at work. And a lot of folks enter retirement using the same strategies they used to build their wealth. So that, you know, I’m still invested in the stock market, it goes up and down, but our income needs are consistent. And that’s where the annuities come in, in structuring a successful income plan for retirement, because in retirement it’s about income first, foremost, and always. All the other risks of retirement stem from the longevity risk, and what does longevity risk mean? It means, running out of money before you run out of life. Clark; Right. Well, okay. So, that $50,000, 25 years later you’re getting $30,000, or $40,000, and you’re saying that’s per year? Roger: Per year, as long as you live. Clark: As long as you live, and with… I think, you and I were talking about this maybe in the first podcast, but it was about how long you retired normally around the length of life that you were working, but people are living longer now. Roger: Yeah, a lot of people, and this is becoming more and more prevalent. A lot of people will spend more of their lifetime in retirement than they ever did working. Most people work 30, 35, 40 years, sometimes longer. But if you live to 95, or 100, and you retire at 60, and you started work at 25, well, you’re spending more time in retirement than you are in your working life. And there’s been a real push especially in some of the younger generations to retire early, and leave the workforce. And we’ve chatted briefly previously about, you know, retirement is being redefined today. And I think of retirement as simply doing what you want to do when you want to do it. Whether that’s working, or hanging out, or travel, or learning a new vocation, or a language, that’s what retirement is. Clark. Right. The golden years. Right? Roger: Well, yes, but people used to look forward to the golden years as the years I don’t work. That was it. You worked and retirement meant, I don’t work. And that is how it was thought about for, really, generations. Clark: Now, what’s the normal age, or the normal time that annuities as a financial tool is something that soon will wanna look at? I know it varies for people, and this is not a one-size-fits-all. Roger: As usual. Usually, I would say that people in their 20s and 30s, annuities are probably not appropriate. And that’s because, it may take until, well, under current law, if you take money out of an annuity except through that lifetime income thing I talked about earlier. Before the age of 59 and a half, you will have a tax penalty on your gains. So, like an IRA, you’re deferring your ability to access that money without the tax penalty until you turn 59 and a half. So, that is why, generally speaking, we don’t want people in their 20s and 30s, there’s just too much time involved before they can access the money. Now, people, and lately there’s been some features in some of the other annuity types that will be talking about later, that make it very, very attractive for somebody in their mid to late 40s or early 50s, and I’ll give you some examples when we get down to talking about those strategies. Clark: Yes, I think that’s a good time to transition. I would love to hear more about some of those strategies, and also I think while we’re talking about that, some of those pros and cons may appear, as well. Roger: …it’s just gonna get way too confusing, and we’ll get deep in the woods, and people will completely loose the train of this conversation, because it is a very comprehensive topic. And I know we’re gonna talk about some of this today, and some of it in our next podcast. So, with an income annuity, the pros are that you get a very high reliable income stream that you can depend on no matter whether the markets are up or down, or interest rates change, or who’s in the white house, or any of that stuff. You can count on that money coming in every month, or every quarter, or every year depending on how you wish it to come in. Most people take it monthly. It can cover your lifetime. A lot of clients come to me and say, “You know, Roger, I’ve worked hard my whole life to build wealth, and this money is for me. I don’t, you know, either I never had kids, or more frequently I raised them. I paid for college, I launched them, and now what’s left over is for me. And so, my perfect financial plan, Roger, is to spend my last dollar on my last day.” And if you feel like that’s your objective, then an income annuity is a perfect solution to that. You can take that annuity to cover your basic expenses, and even some luxuries, and then whatever is left over you can just have fun with. So, that lifetime guarantee is one of the big pros to me. You can also cover a spouse. You can add additional guarantees in case somebody dies too soon. They don’t enjoy the longevity of it. And if you have, what’s called a non-qualified annuity which means it’s not an IRA, there are some significant tax advantages. I’ll give you a quick example, I have a client, Southern California, a guy I’ve known for years and years and years, and some of the money and the portfolio, and some of their income decisions are starting to run out. He has a sum of about $400,000 that he wants to create lifetime income for both him and his wife. They’re in their about…he’s 78 and she’s 79. They’re in great health, and they’re going to get over 10% of that $400,000. They’re gonna get $42,000 a year as long as they both live, and when one of them dies, the survivor’s going to get $21,000 for the rest of their life. And this could go on for another 20, 25 years given how healthy these folks are right now. And because it’s not an IRA, they’re only going to pay taxes on about 2% of that income. So, it will reduce taxes on their social security, and it opens up lots and lots of additional strategies to them. So, and, of course, it’s guaranteed. You could spend everything in your checking account this month, and next month it’s gonna get filled up again. The cons are that once you’ve started income, once you exchange that $400,000 to the insurance company, if you change your mind in six months, it cannot be changed. It cannot be reversed. You can’t go back. So, once you receive your first payment, that’s it, you know, you’re just gonna receive payments. Now, most of these types of annuities have fixed payments, and that means that for these clients, the $42,000 that they get this year will be the same payment they’ll get 10 years from now. And so, they’re not going to get increases in their income to offset the cost of living. Now, there are other options where there are cost of living raises in this type of an annuity, but if you use this type of level payment, you could loose purchasing power over time. And of course, if markets sore and go crazy, this money isn’t going to be available for you to invest in the market. So, if you’re looking for a guaranteed lifetime income that you can’t outlive, this is one of the things you should be looking at. Clark: And with the insurance company, maybe this is a silly question, but they’re pretty steady, right? I mean, I know with the stock market that’s up and down, and there’s lots of unexpected things that could happen, but with the guarantee that you mentioned earlier with some of the states that the insurance companies are in, how does that work? Roger: Well, first of all, that’s a great question. And if you look at American history, it was for most of the last 170 years, life insurance companies have been the go-to for safety and security. Most recently in 2008, 2009, and 2010, we saw hundreds of banks go belly up. They just, you know, they didn’t have the financial strength and we’re with all to survive the downturn, and the erosion of their capital base. Life insurance companies, and it takes a life insurance company to issue an annuity, are capitalized very differently than a bank. And as a result, we only lost, well, we really didn’t loose any life insurance companies during that same downturn. And you can go back here in San Francisco during the 1906 earthquake and the aftermath. Insurance companies went out to Golden Gate Park and set up a temporary branches so that people could access cash values of their policies, so that they could use that money to rebuild. It was weeks, and in most cases, months, before banks were able to reopen and provide access to people’s capital. So, it’s things like that the insurance industry has gone through, boom and bust cycles. It was the capital that insurance companies that helped lift the United States out of the great depression, and there’s example after example. But if you look at their balance sheets, if you look at how does an insurance company capitalize itself, it has a lot of excess capital. So, again, this could get too deep in the woods, but most insurance companies have what’s called a surplus account, and their surplus account is money that they use to provide guarantees every time they sell a new policy. A bank is only required to keep a certain percentage of their liabilities in cash at the bank. So, when I lend money to the bank by making a deposit, they’re gonna lend that money out to somebody, and then they can call that loan in asset, and lend against the loan they created from my deposit. And they can do that over and over again. That’s why you might have heard that banks were leveraged 35 to 1. And what that meant is my dollar that was deposited in the bank was lent out 35 times. That means they only have about 3% cash against their liabilities. While an insurance company has to have extra cash above and beyond their liabilities. Clark: Wow, that really makes sense. I really appreciate you diving into that. And I think you’re doing a great job. I understand that a lot of this, it could get into the woods, but I think you’re doing a great job with keeping us knowing everything we need to know, and keeping it easy to understand. Roger: Well, I’m trying hard, because this is an information learned and garnished over almost three decades of being a planner, and it was years ago. Back in the 90s when the markets were hot, that I really dug into this issue of looking for safe all…safe for all alternatives, and the history of finance, banking, etc., in this country over the last, you know, couple of 100 years. Where did the stock markets come from? How do they function, and what are the alternatives? Because things aren’t what they always seem on the surface, you gotta dig, drill down, and I spent a career, actually more than a career doing that. I’m kinda geeky about this stuff. Clark: Well, it’s your passion, for sure. And I know there are a lot of options and there are a lot of tools that are available, and there is no one-size-that-fits-all, so one thing I wanna make sure we mention before start wrapping up is the thought organizer. So, for someone who is trying to look at all of their options, what and how does the though organizer assist them in creating clarity? Roger: Great question. I think that that’s the place whether you work with a planner or on your own that you really need to start. You need to get in touch with, what do I want money to do for me? What do I want my future to look like? Because once you have that context, picking and choosing different financial tools becomes much, much easier. Quick example, I had a new client who was complaining about the stock market, and they weren’t sleeping at night in the volatility, and, you know, they said, “I have to call my broker every month and tell him to send me money, and then I have to look at what do we sell, and go through all this stuff. I just want things to be simpler. I don’t wanna have all of this responsibility, ongoing responsibility.” So, we used a variety of tools, and annuities were part of it to reduce their day-to-day responsibility. Yes, they still have to monitor their money, and these other issues, and we review all that stuff, but day to day they don’t have to worry as much, and make as many decisions about it. Because of these guarantees, there are other types of products that have different guarantees, but still are more stable, and have less moving parts than the stock market, for example. So, that’s where the thought organizer and, please, it’s a complementary. Go to the website, download it, use it for yourself. It’s designed so that you can organize your thinking about not only money, but how it relates to your future. And I’m gonna give you a really great example of this. Recently, I had a situation where a client filled out, it’s a new client, filled out the thought organizer, and they indicated that their primary financial objective was to create lifetime income. Income that they could not outlive, that they were incredibly conservative, and it really didn’t wanna have any volatility in their investments, and they described themselves as a one on a scale of 1 to 10 as far as how much risk they were comfortable. This gets into a whole different area of fiduciary versus suitability, which I’m not gonna get into. It’s a big political football in Washington DC, but it’s why I operate as a fiduciary, and why we approach this stuff…before we ever talk about money, we talk about people. Because, it’s people first. Clark: I love that. Before we talk about money, we talk about people. It’s a good fit for your style, I know. It’s like your heart, and it’s very clear. So, thank you, Roger, so much again for explaining all this, and laying it out. I really enjoyed the conversation. Do you have any final thoughts before we wrap up? Roger: Well, just wanna mention that in our next podcast, we’re gonna talk about deferred annuities. And these are the annuities that you get a lot of this emotion around. We’re gonna talk about the different kinds, why Wall Street blasts them, you’ve probably have seen in your local paper, or online, or even some television ads now and again. There’s one particular financial advisory firm that has a whole campaign, “I hate annuities, and you should too.” In fact, if you pardon my language, I was shocked on marketwatch.com a couple of weeks ago to see that they had changed that to, “I would die, and go to hell before I would sell an annuity.” That is a very strong statement, and I don’t understand why anybody would get that worked up about a financial product that, you know, is just the thing. So, we’re going to talk about deferred annuities next time, and hopefully just spell some of the myths, and offer people some of the cautions and things to look for before you consider whether an annuity is something that’s appropriate for you. Roger: All right. Good talking to you, and we’ll talk to you soon. Clark: Thanks so much for listening to this episode of Retire Happy. Be sure to head on over to gainerfinancial.com to download your thought organizer to get started. 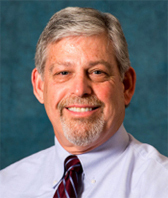 Roger L. Gainer, ChFC, California Insurance license number, 0754849, is licensed to sell insurance and annuity products in California, Illinois, Arizona, Pennsylvania, and New York. Roger L. Gainer is an Investment Advisor, representative providing advisory services through HFIS, Inc. Our registered investment advisor. Gainer Financial and Insurance Services, Inc. is not owned or affiliated with HFIS, Inc., and operates independently. Thanks again so much, and will see you next time on Retire Happy. For More Retire Happy with Roger Gainer Podcasts, click here.